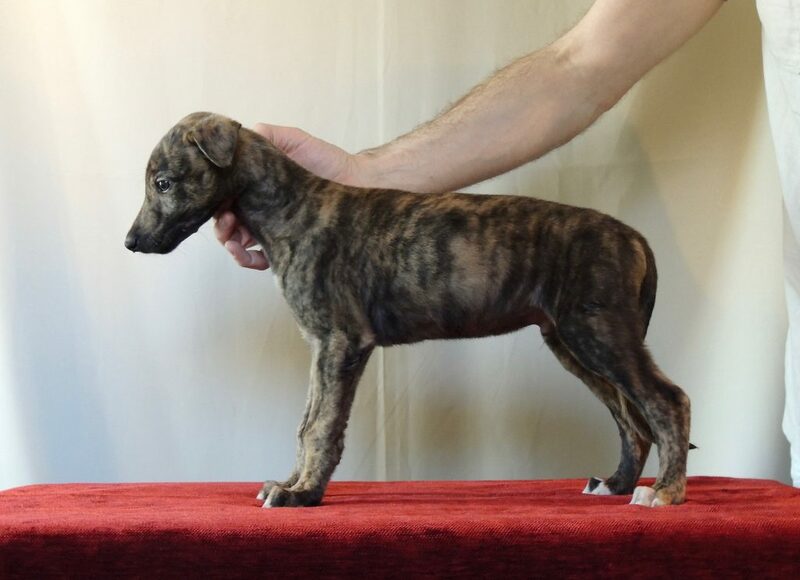 For quite a while we have had in mind to do a breeding with a racing greyhound. 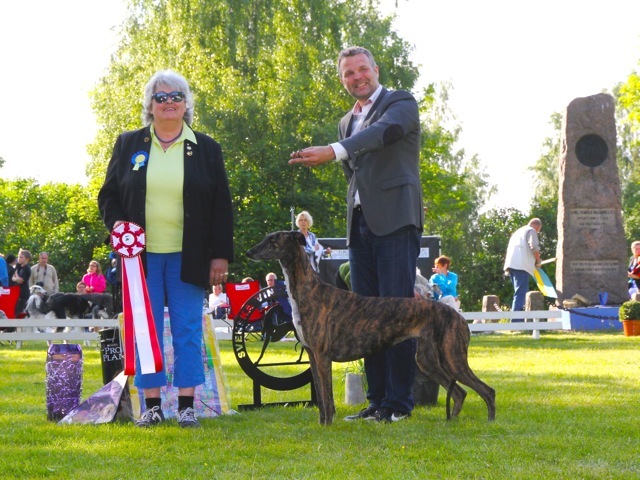 In Sweden all racing greyhounds are registered greyhounds at the kennel club, so that is no problem. 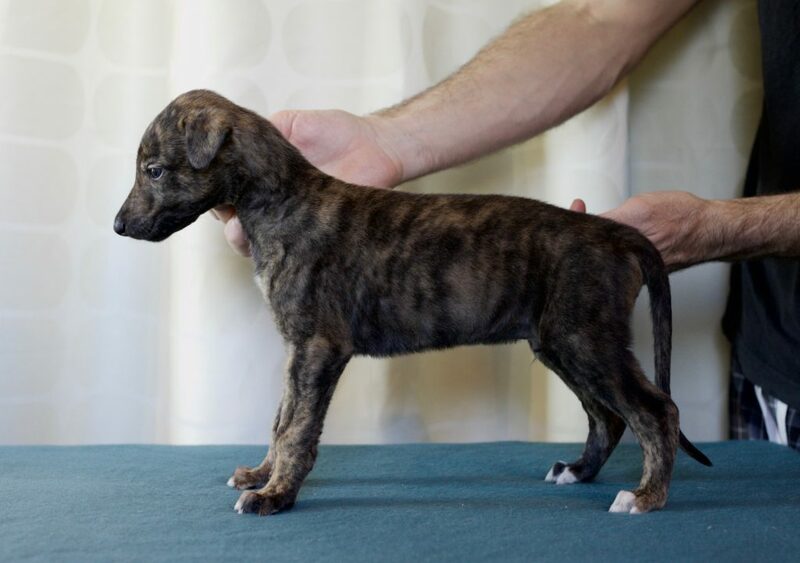 Compared with most breeds, standard greyhounds are healthy, but the genepool is getting smaller and the breed is in decline in most countries. 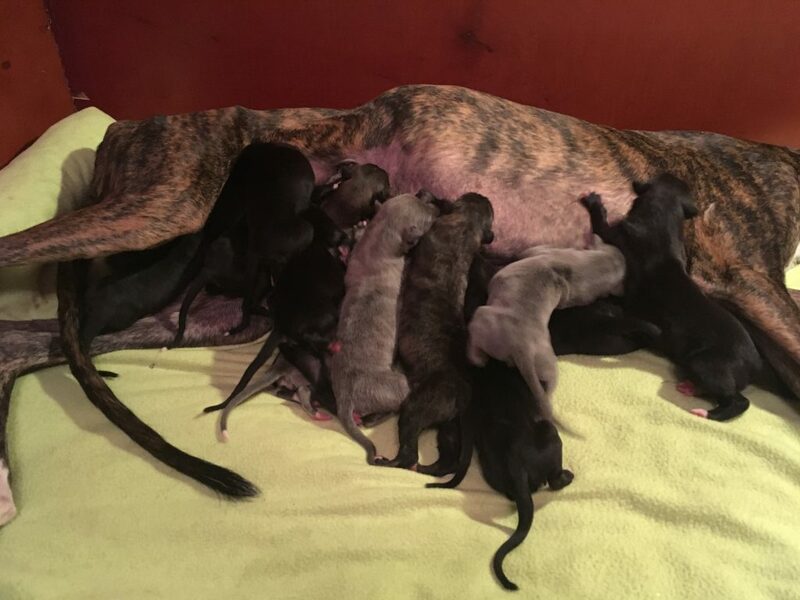 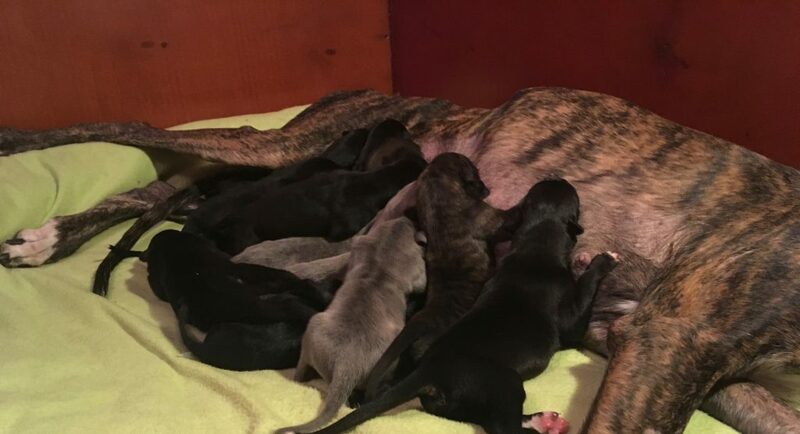 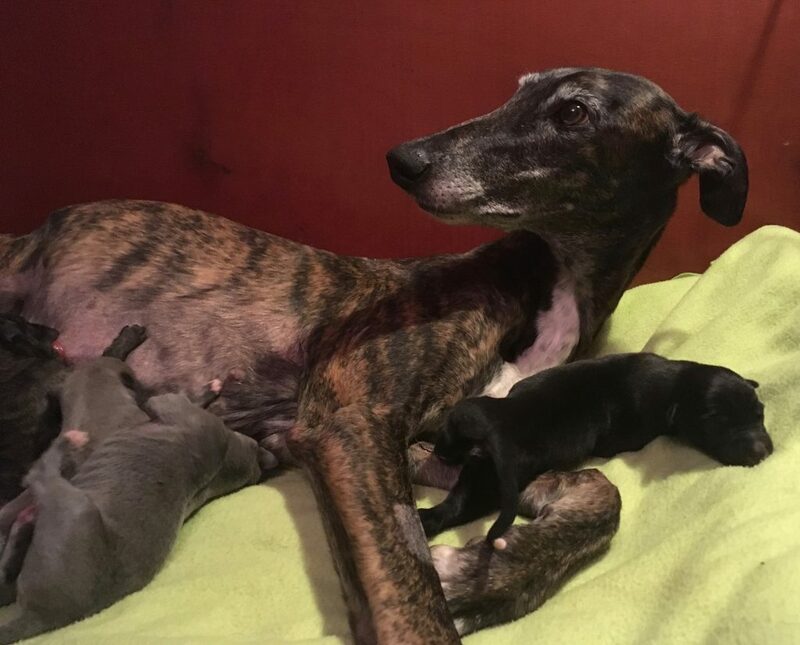 The benefits of including racingdogs in the breeding of standard greyhounds are obvious. 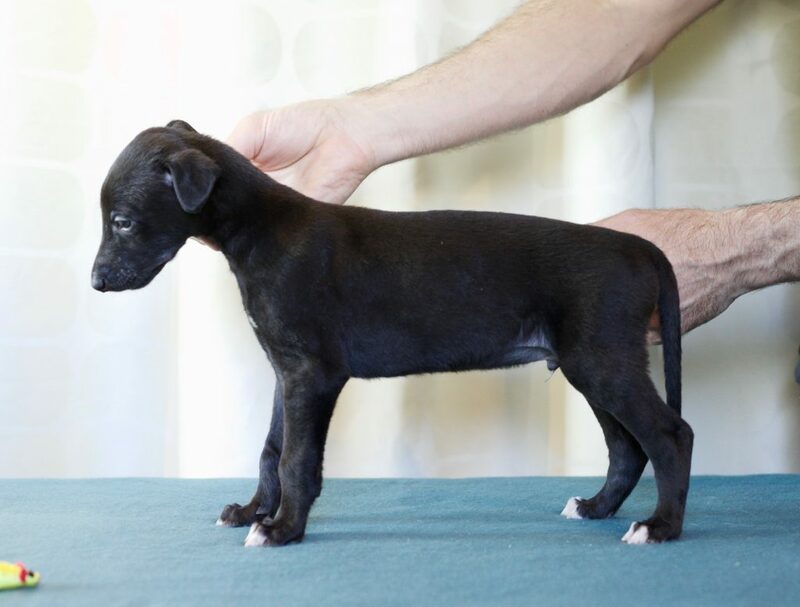 We don’t think it is urgent to do this kind of breeding, but better too early than too late. 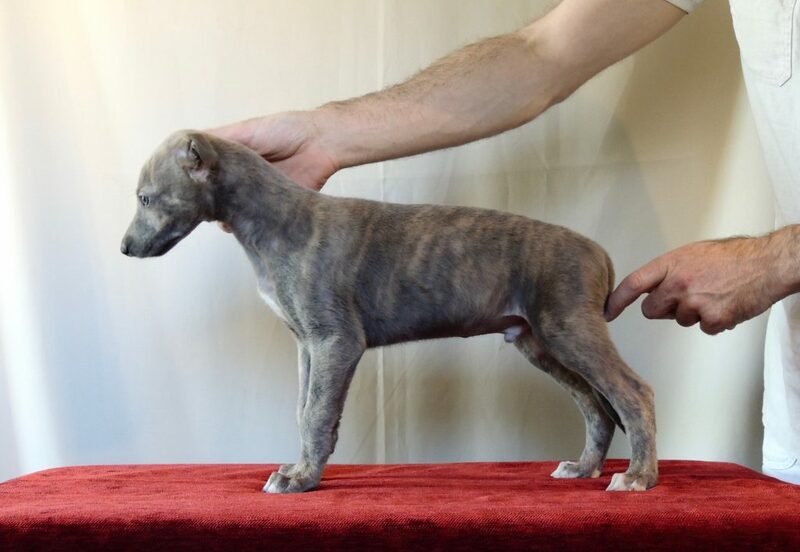 Others have of course done this already and we think this must be done with a really high quality standard greyhound with a stable pedigree. 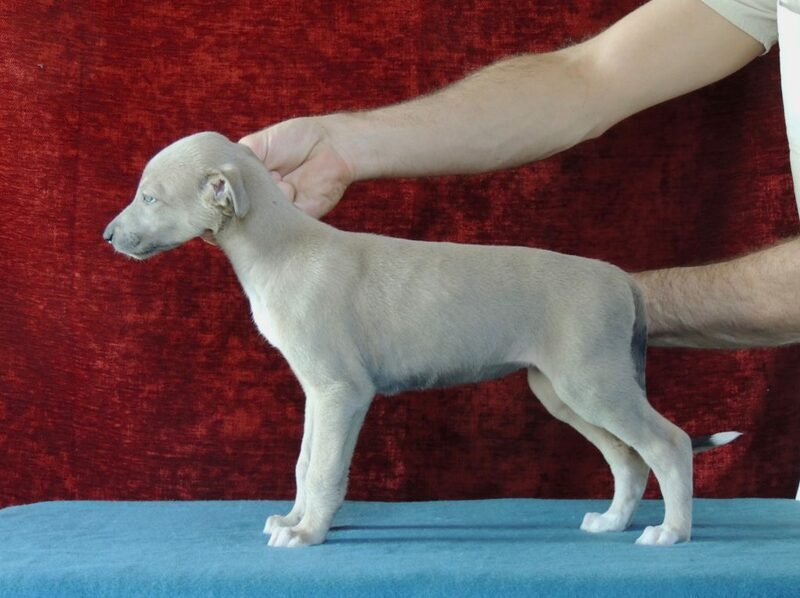 Otherwise it will not be so interesting to use offspring and the effort is worthless. 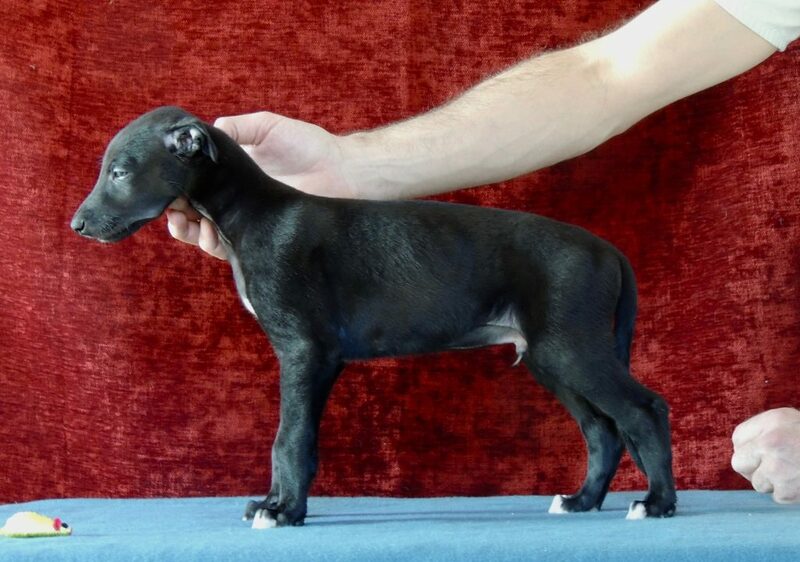 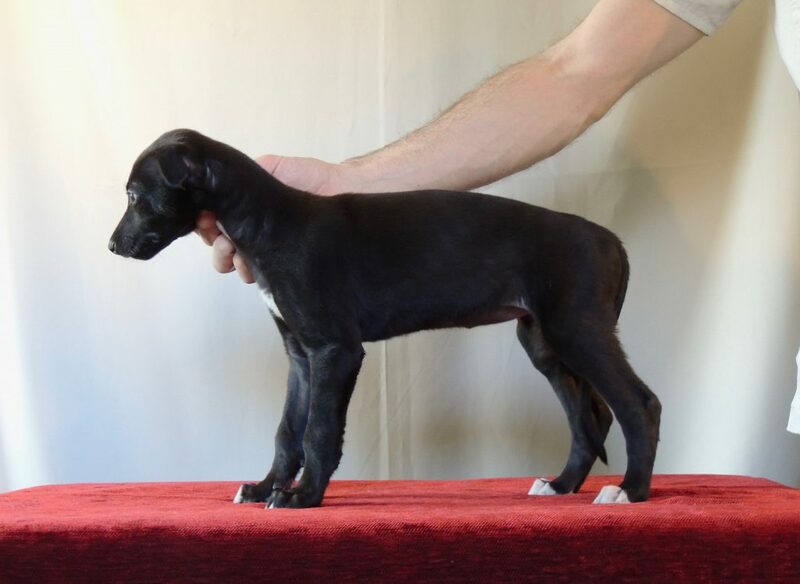 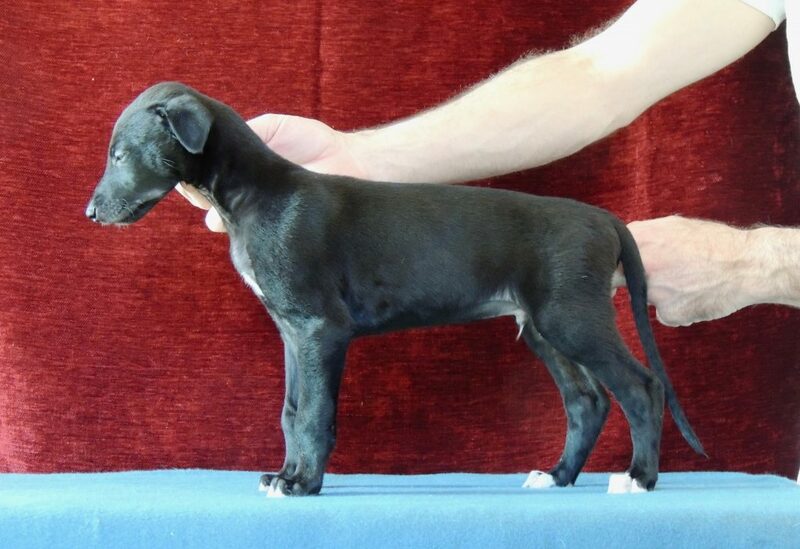 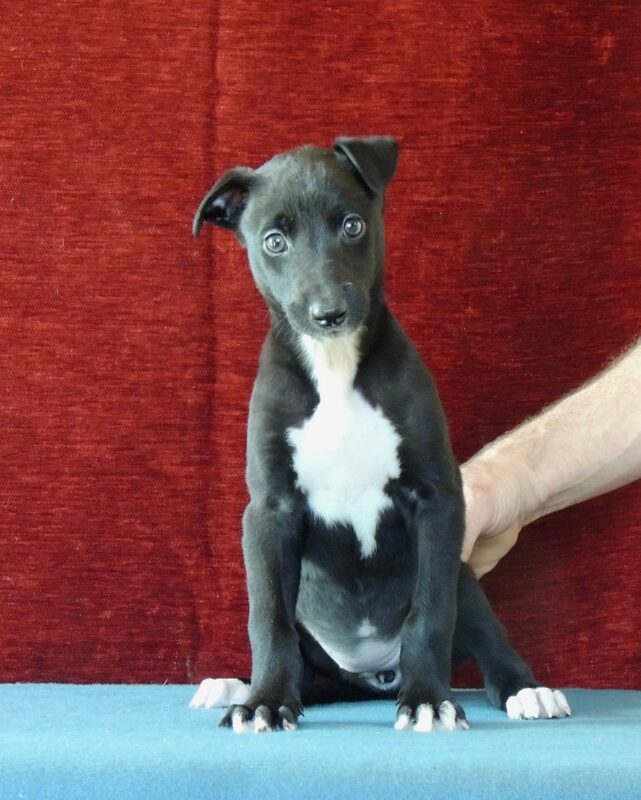 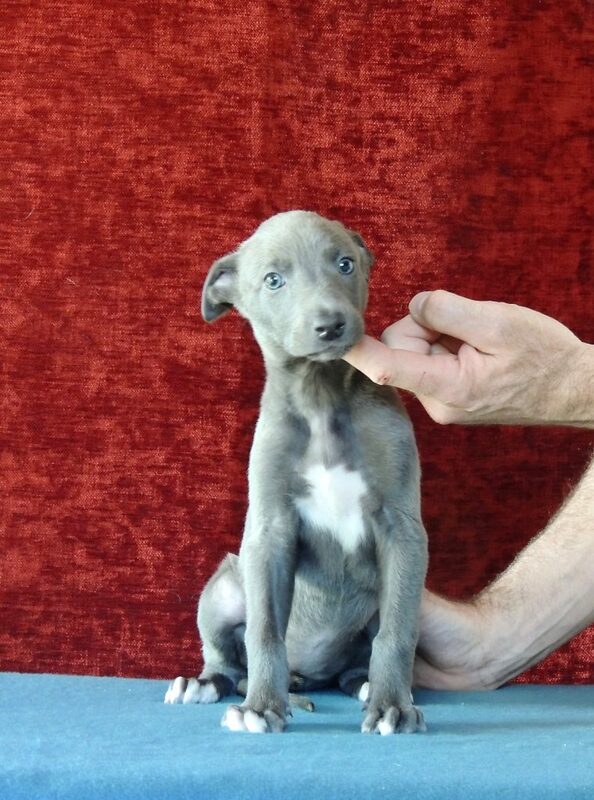 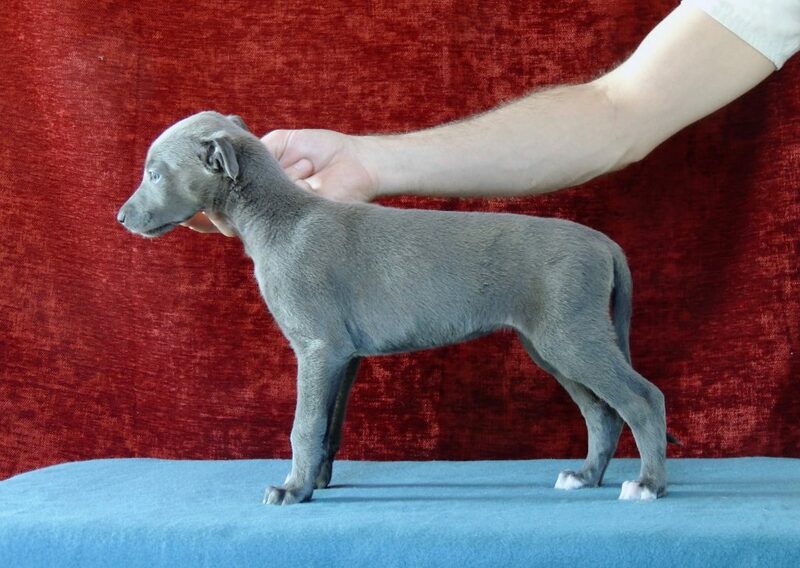 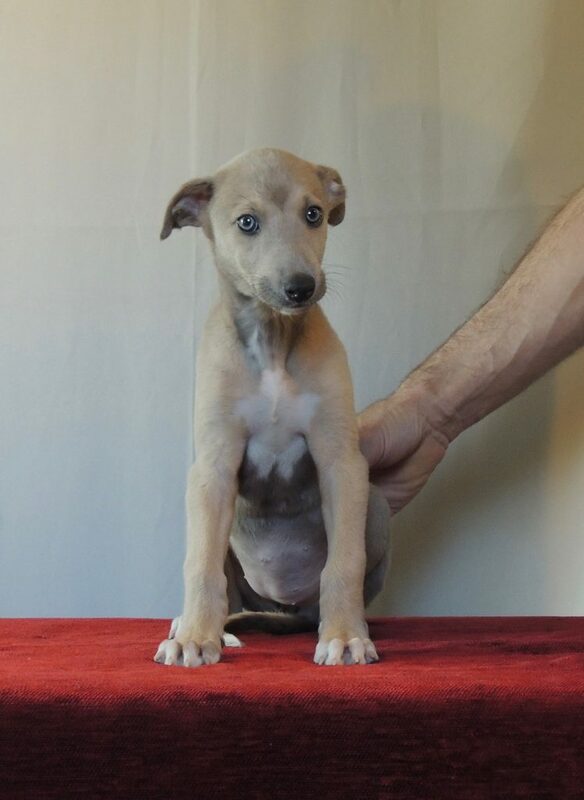 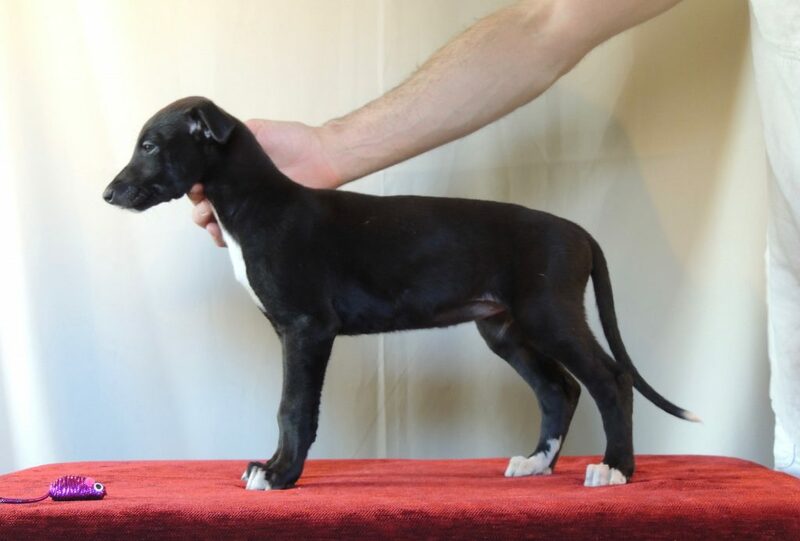 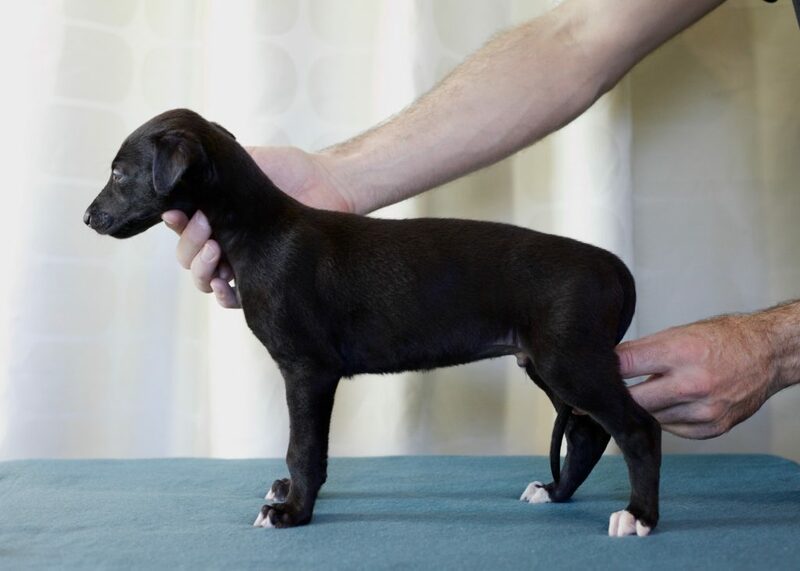 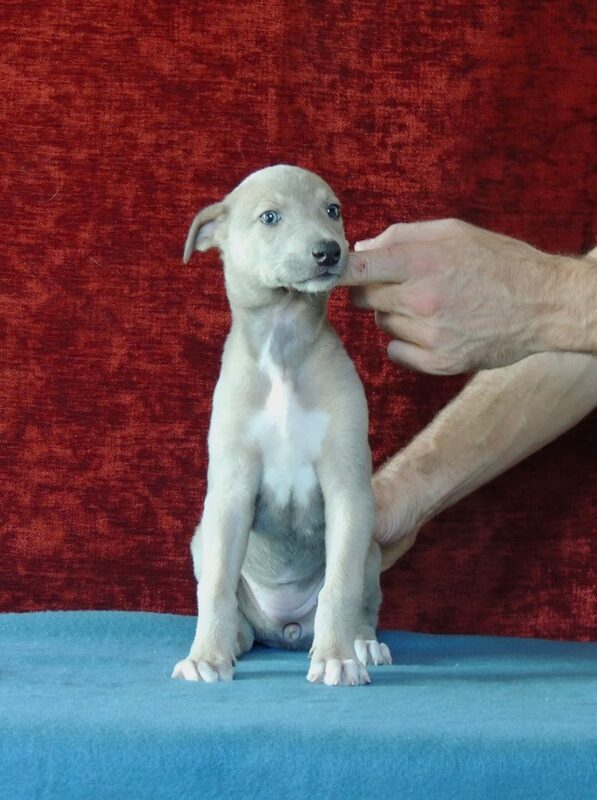 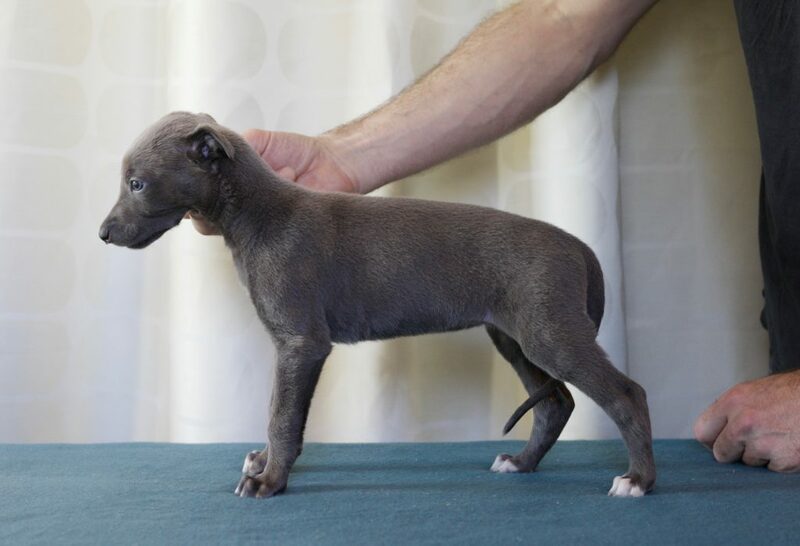 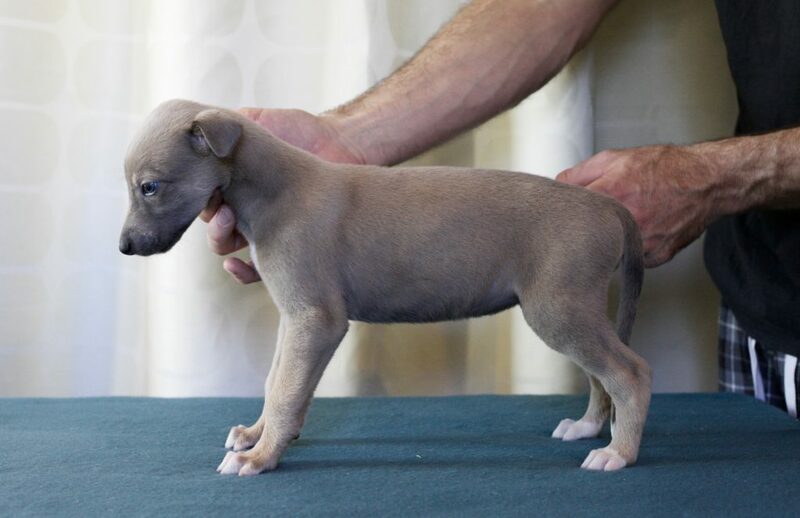 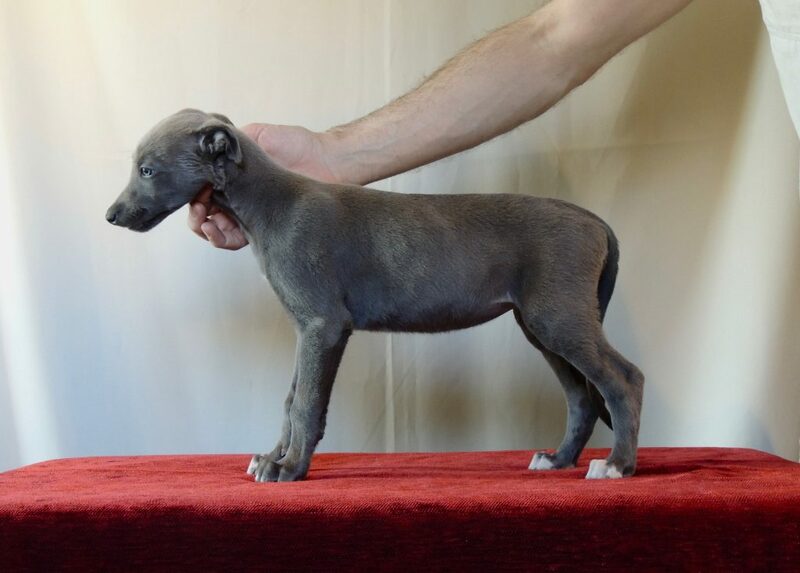 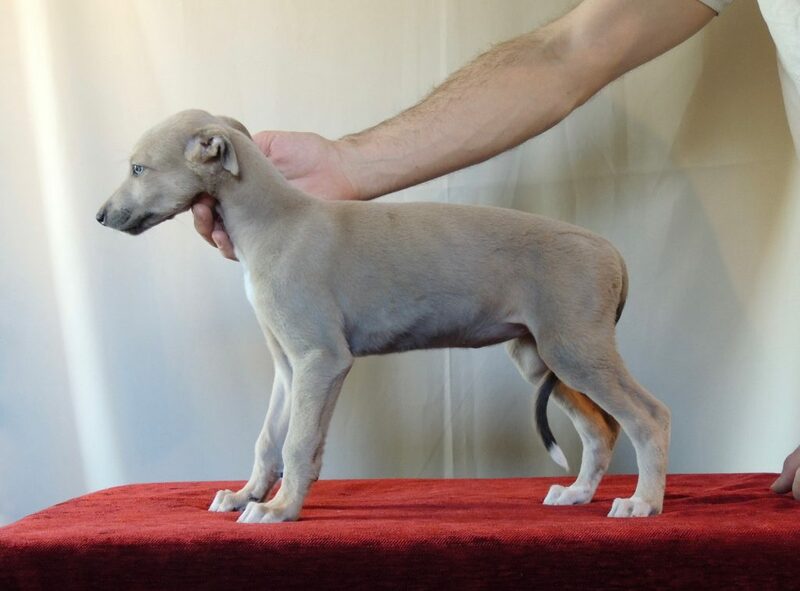 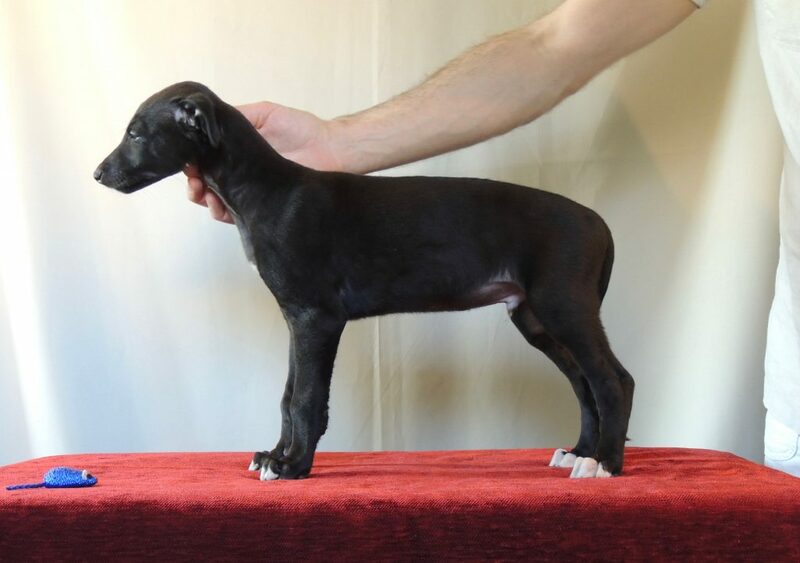 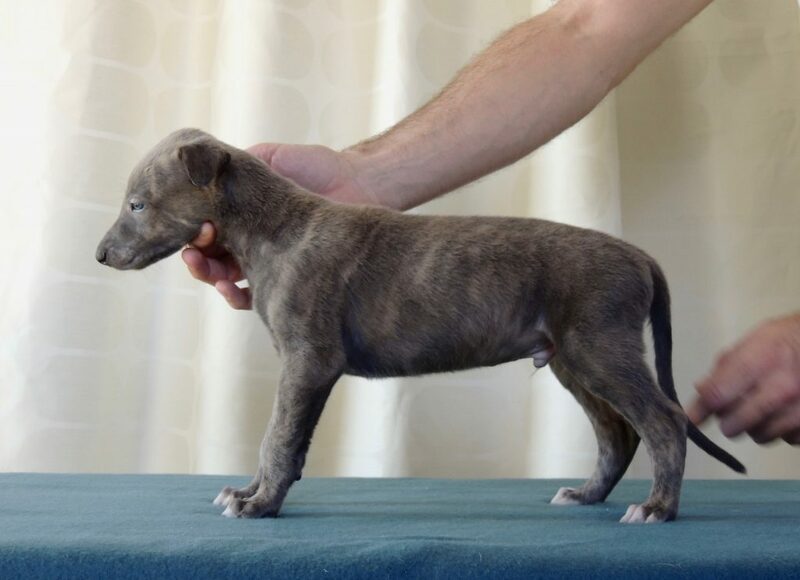 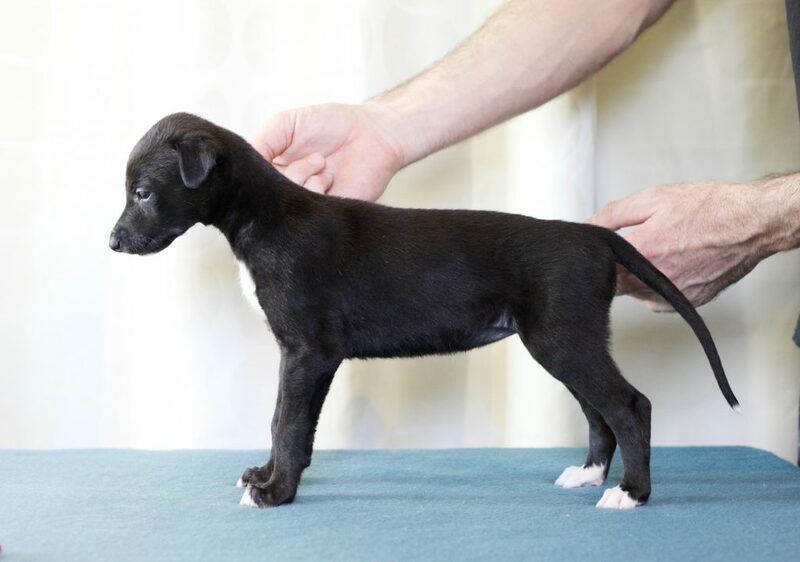 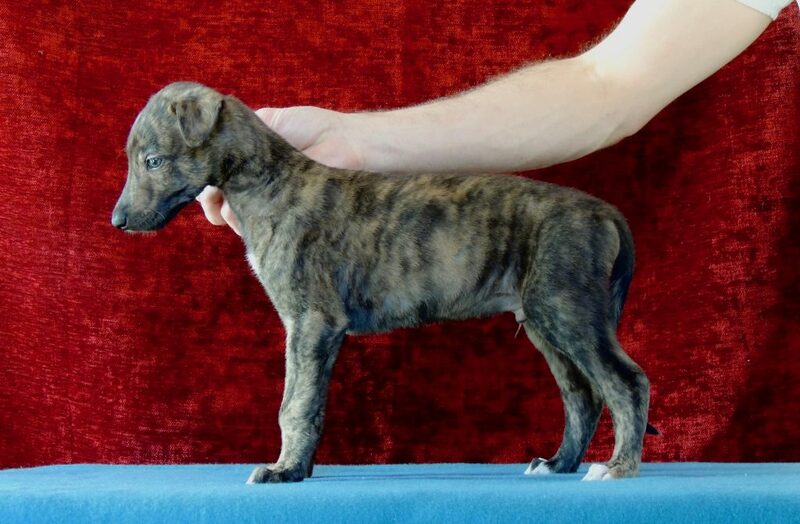 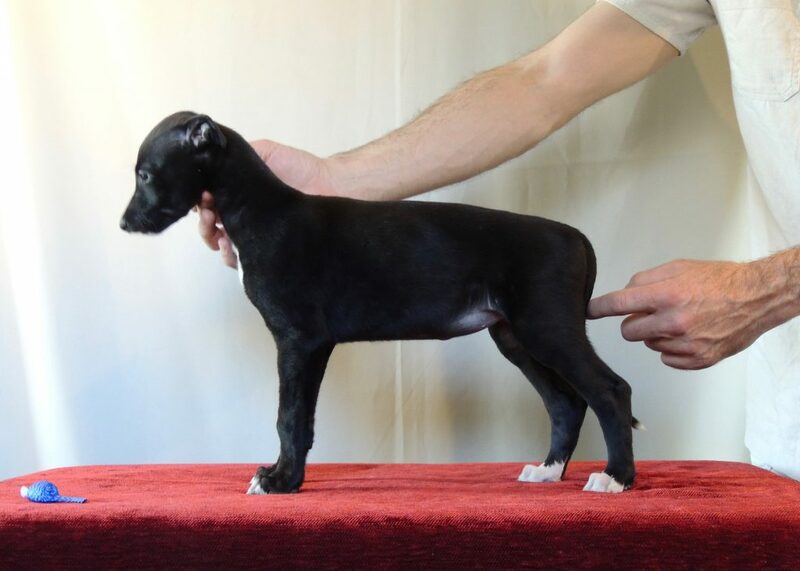 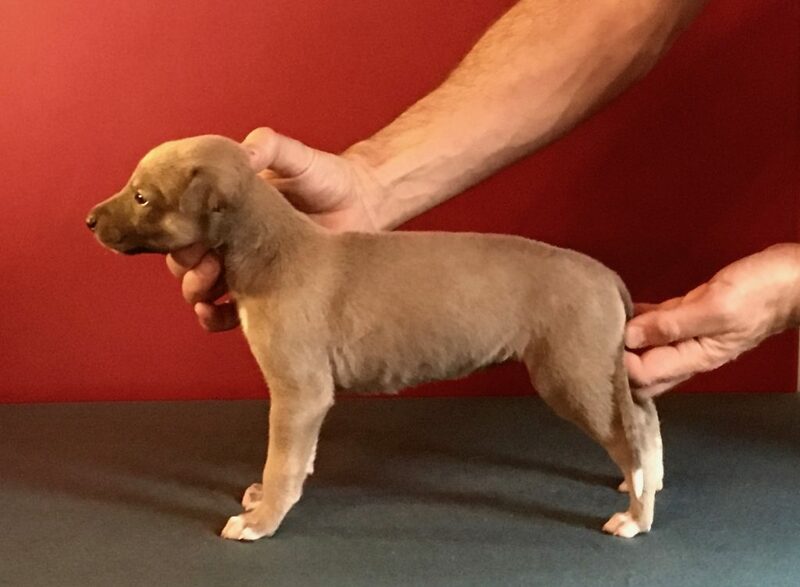 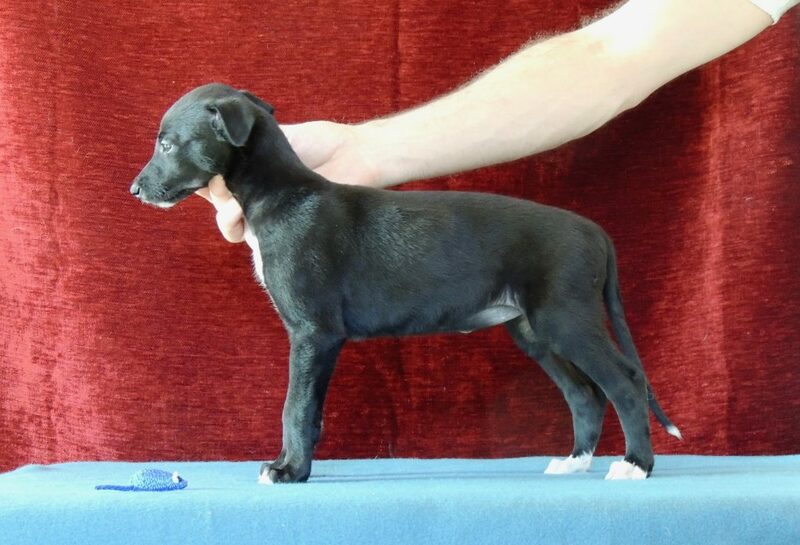 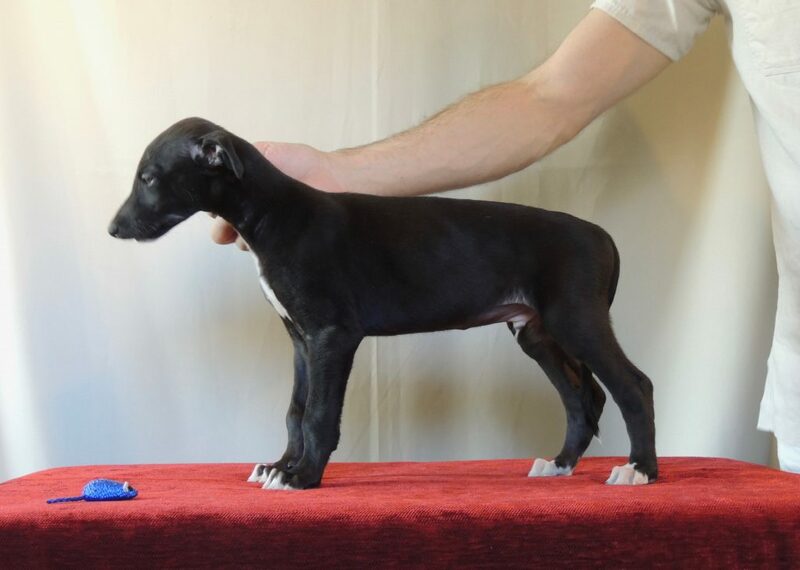 The choice fell on C.I.B SE DK NO FI CH DK Winner-13 SE Winner-14 Euro Sighthound Winner 2014 EPIC Juicy. 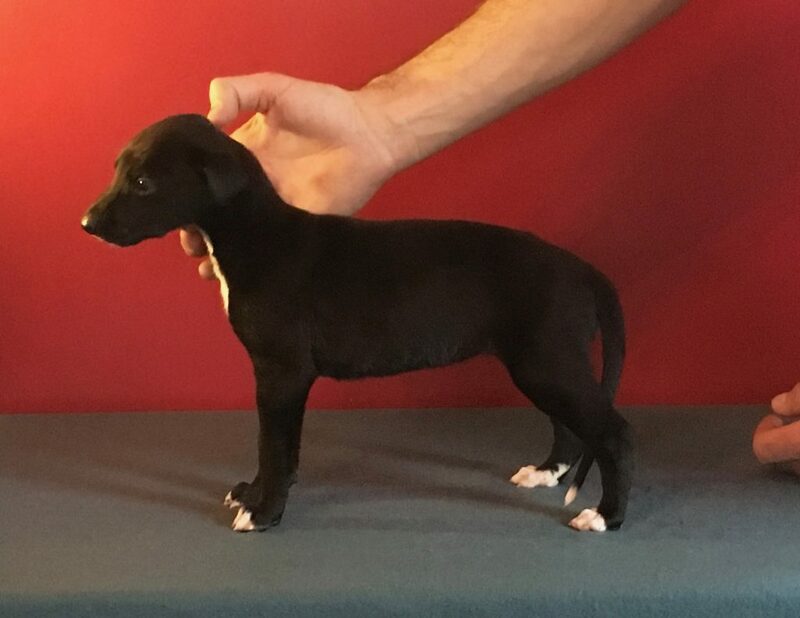 High quality, and type wise maybe as far from a racing greyhound you get. 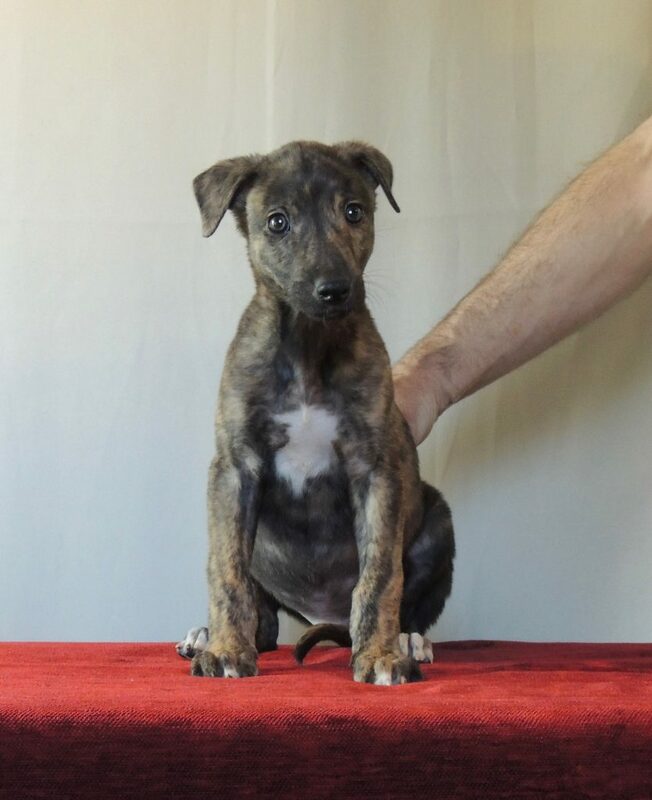 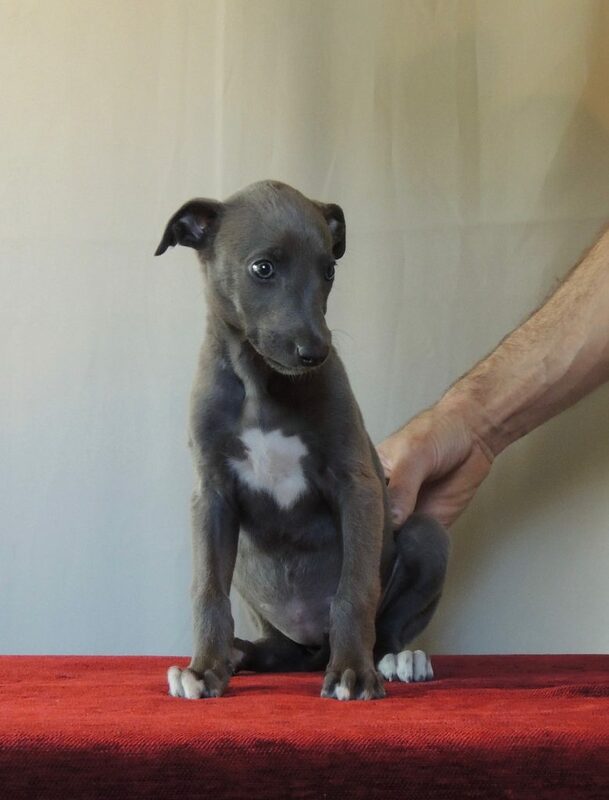 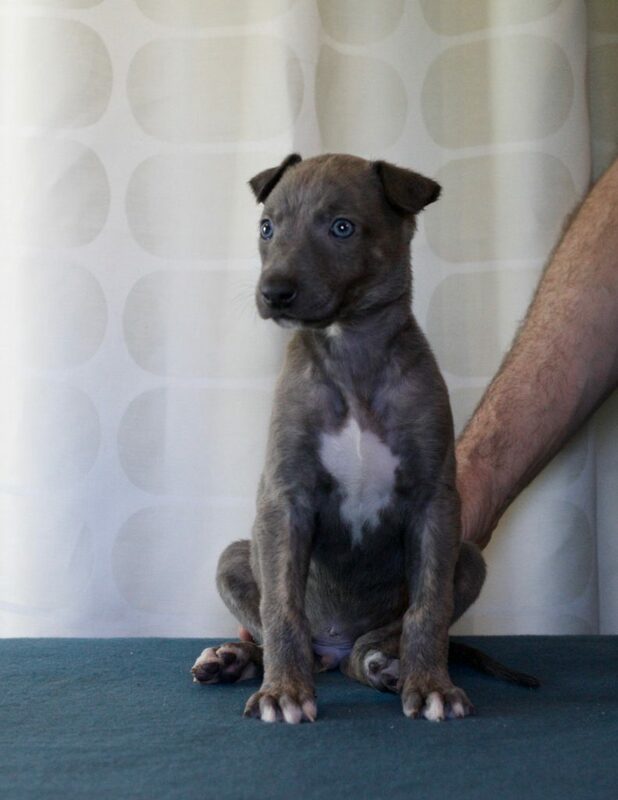 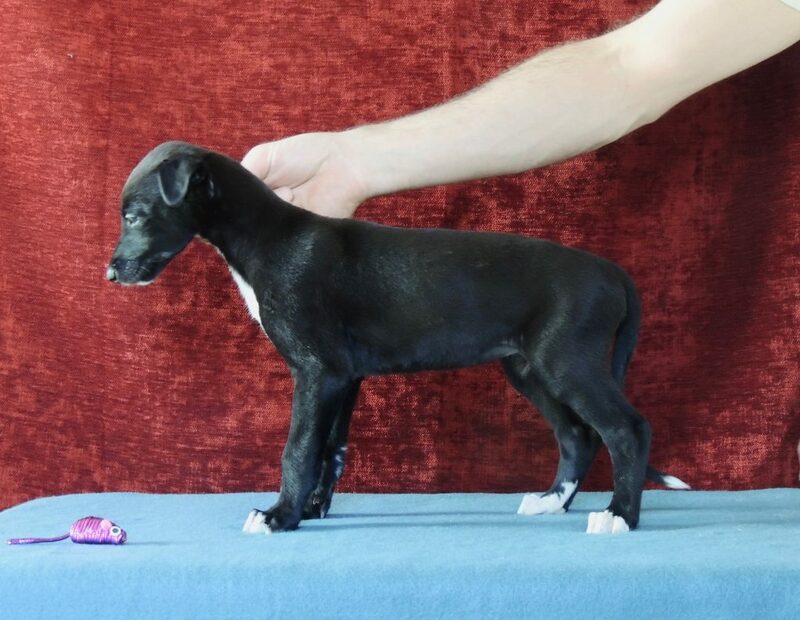 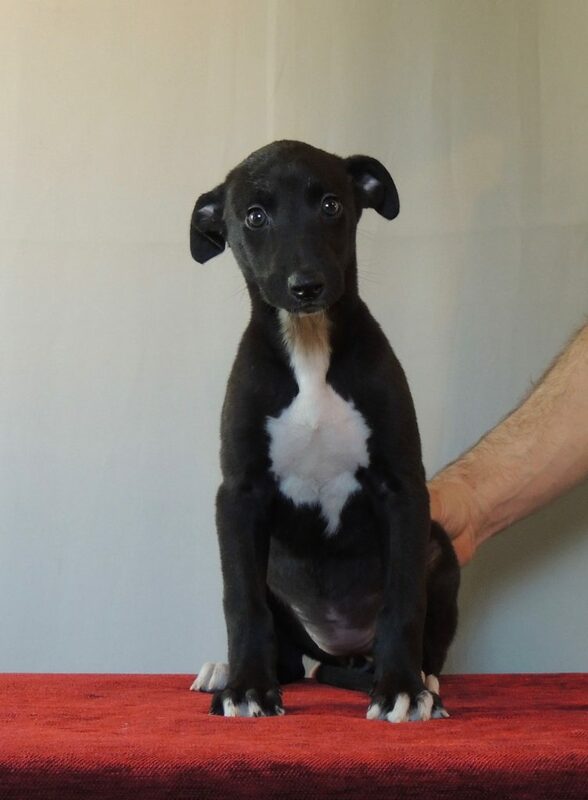 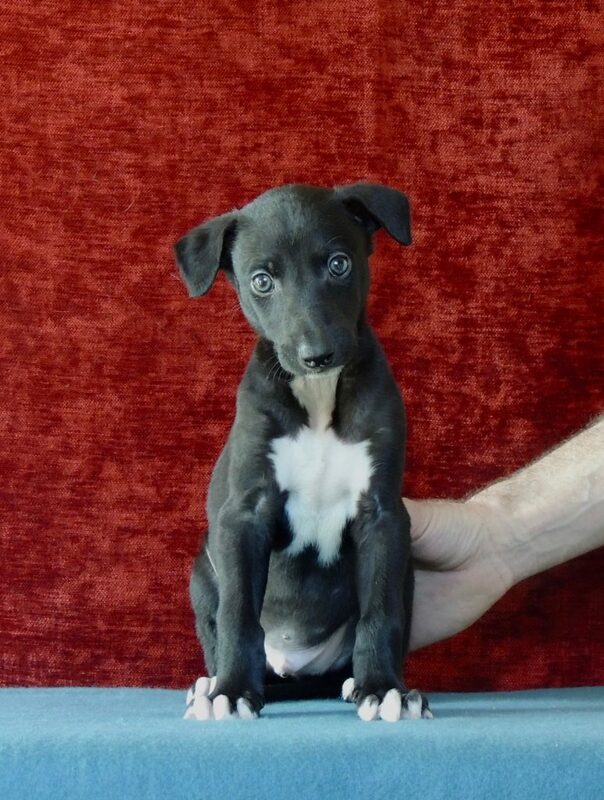 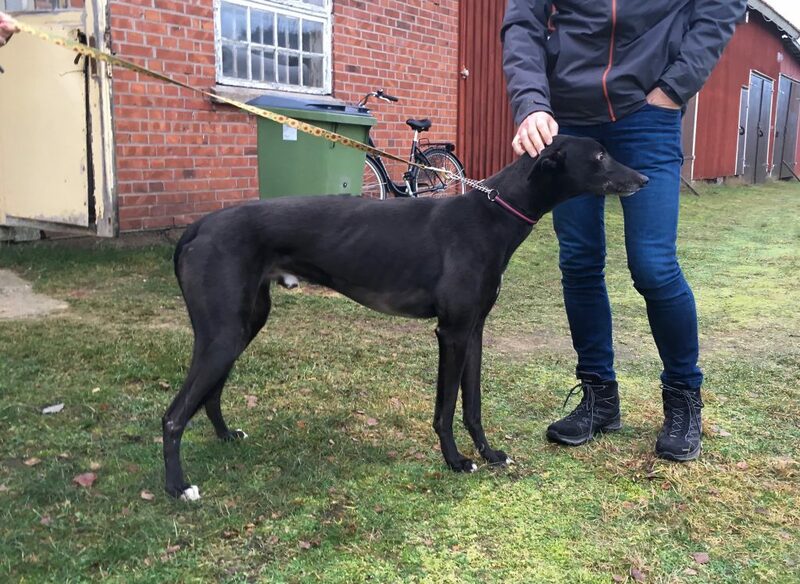 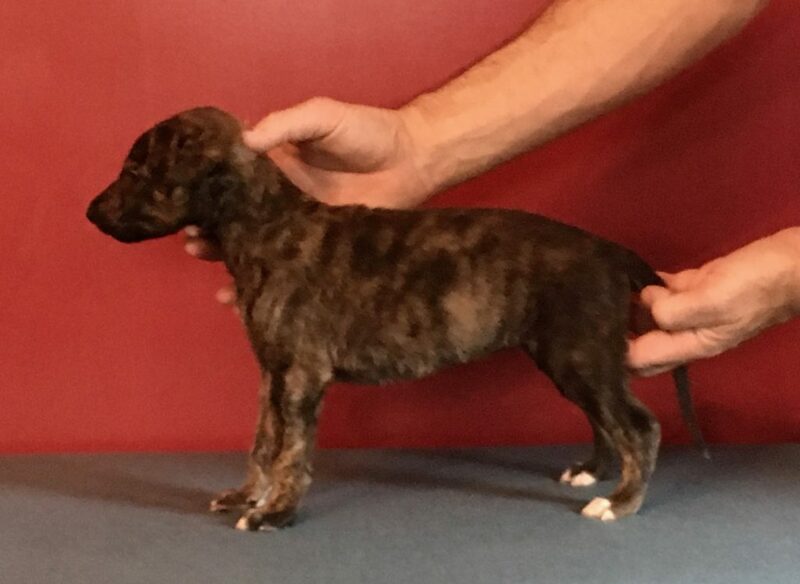 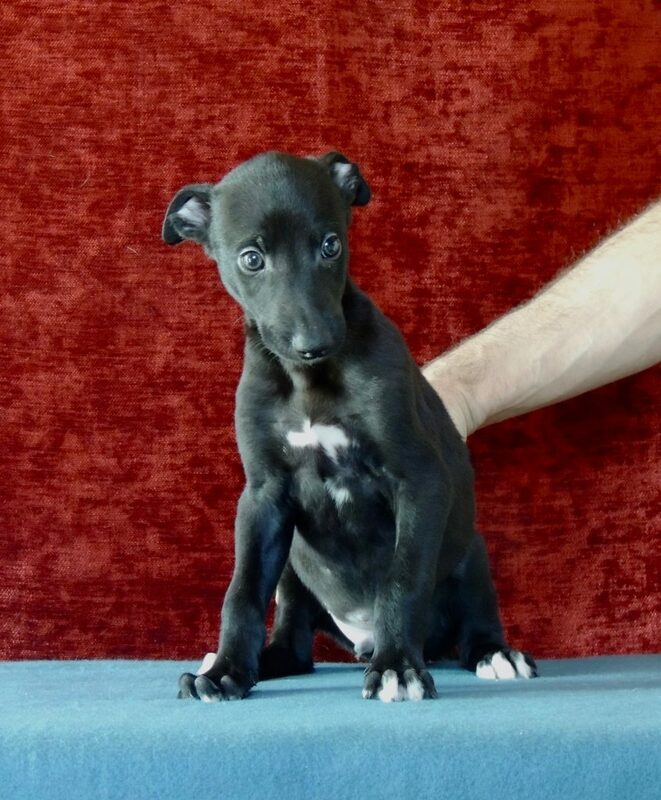 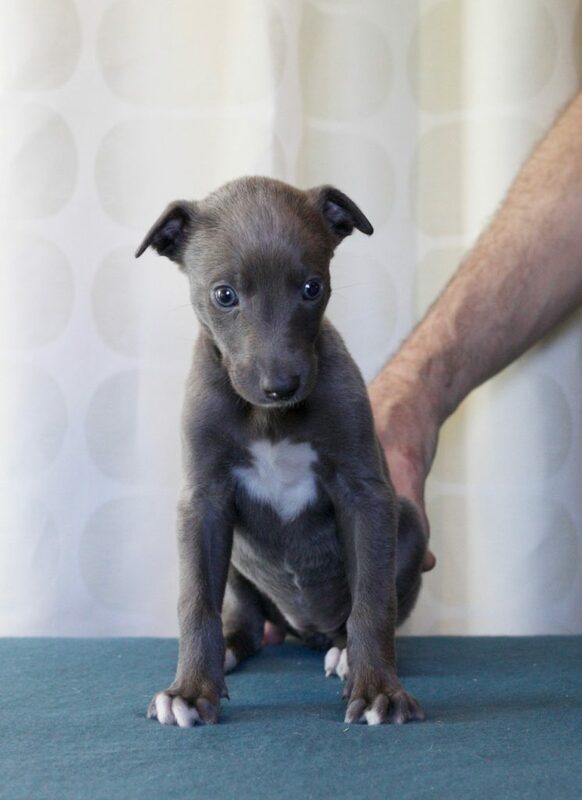 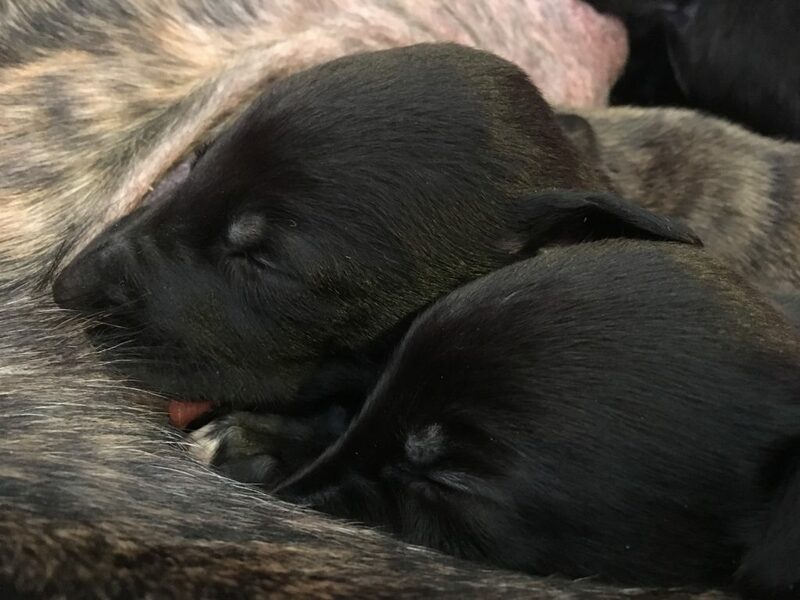 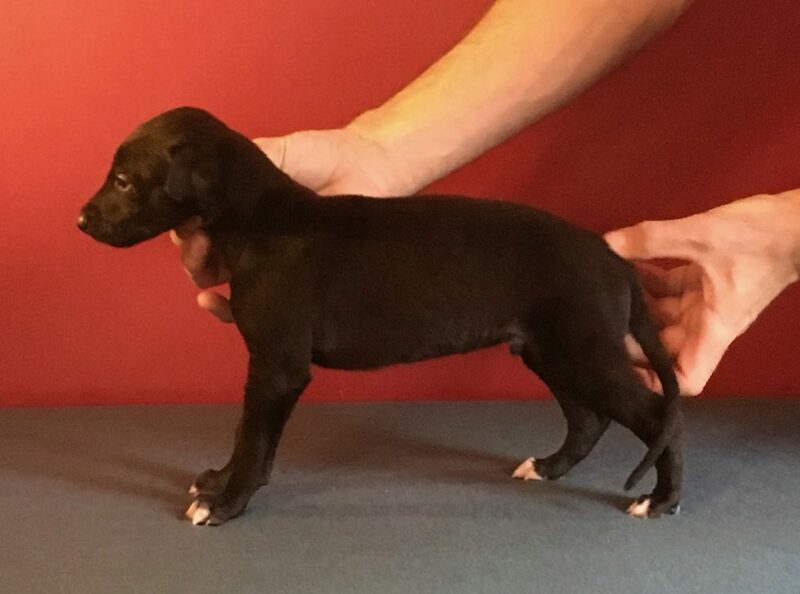 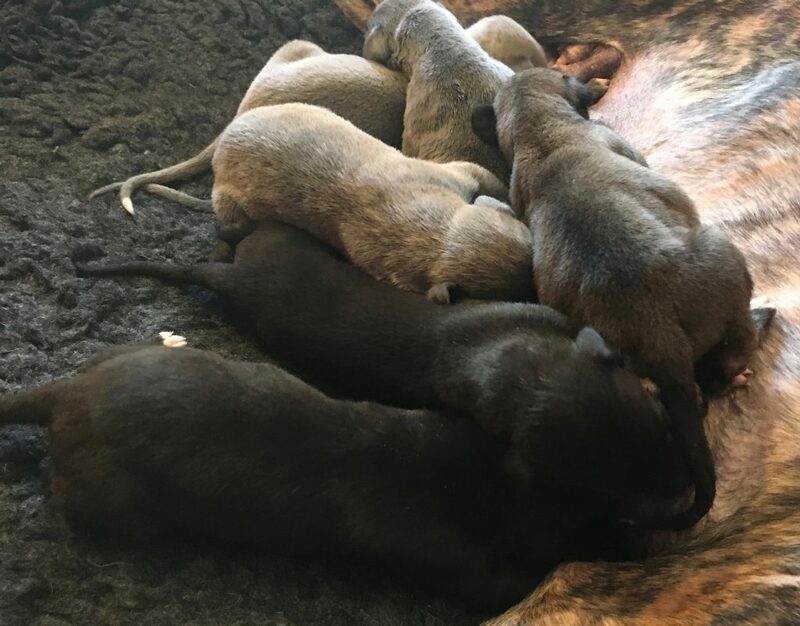 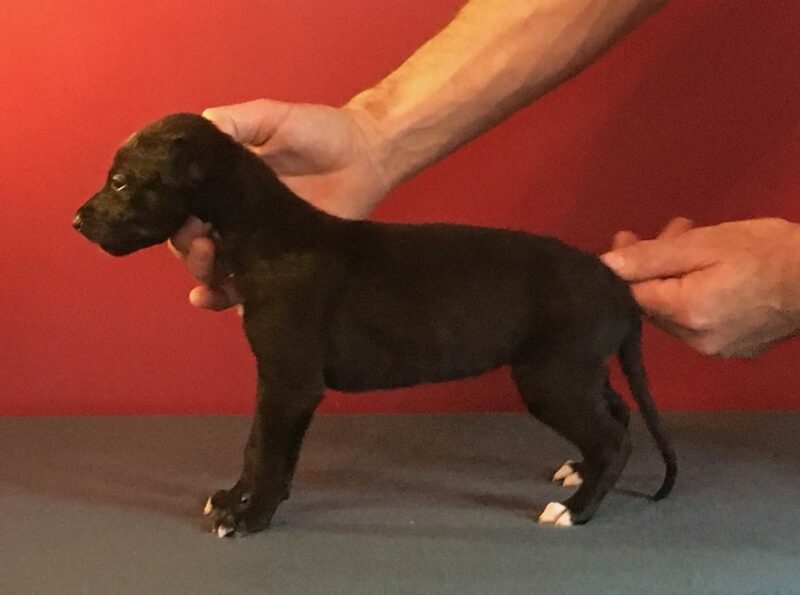 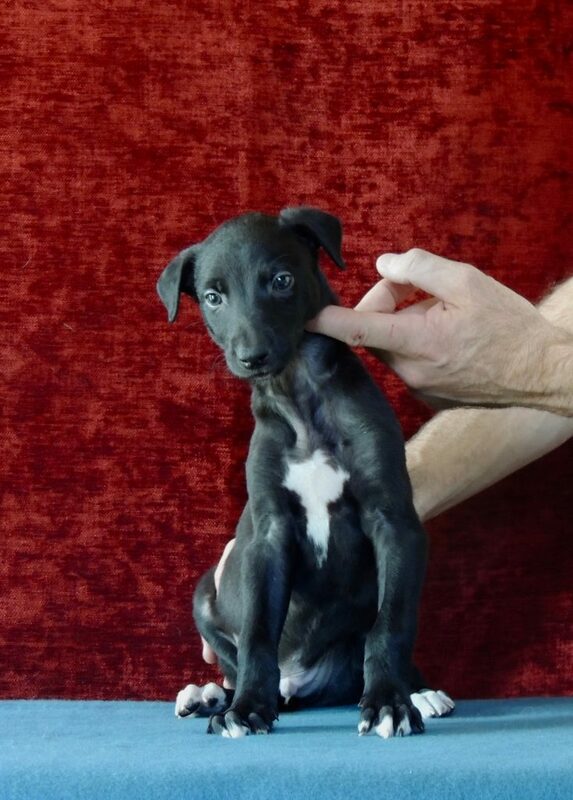 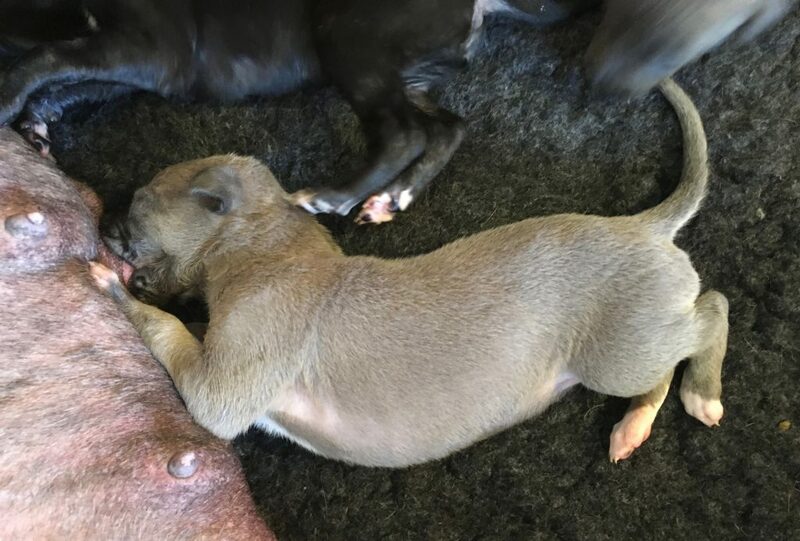 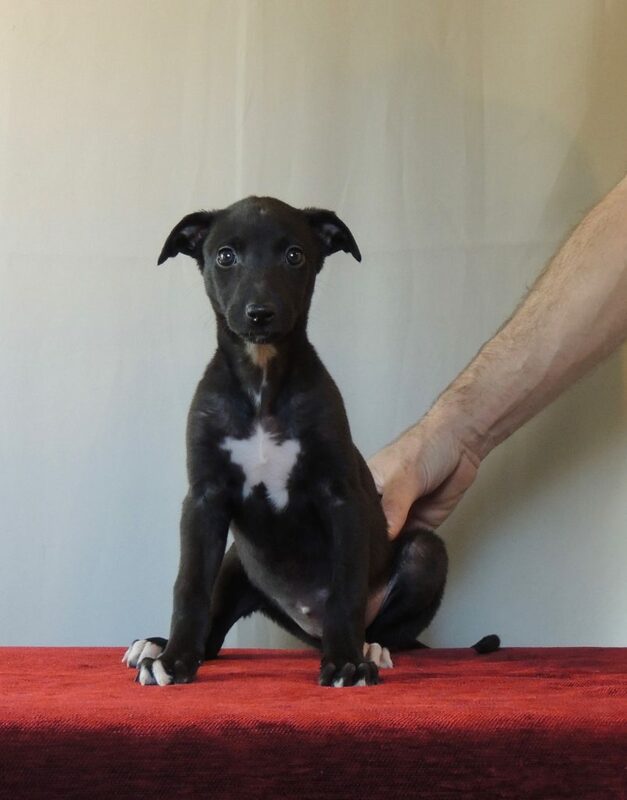 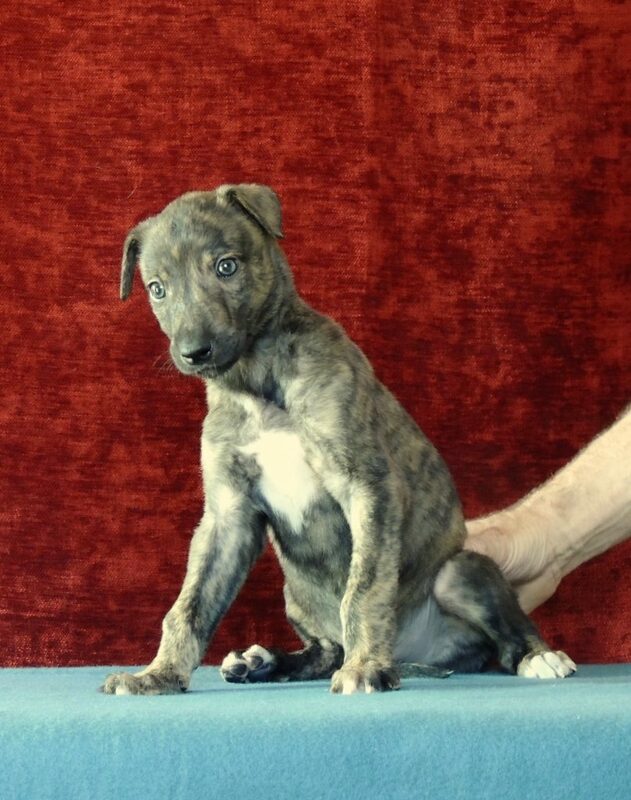 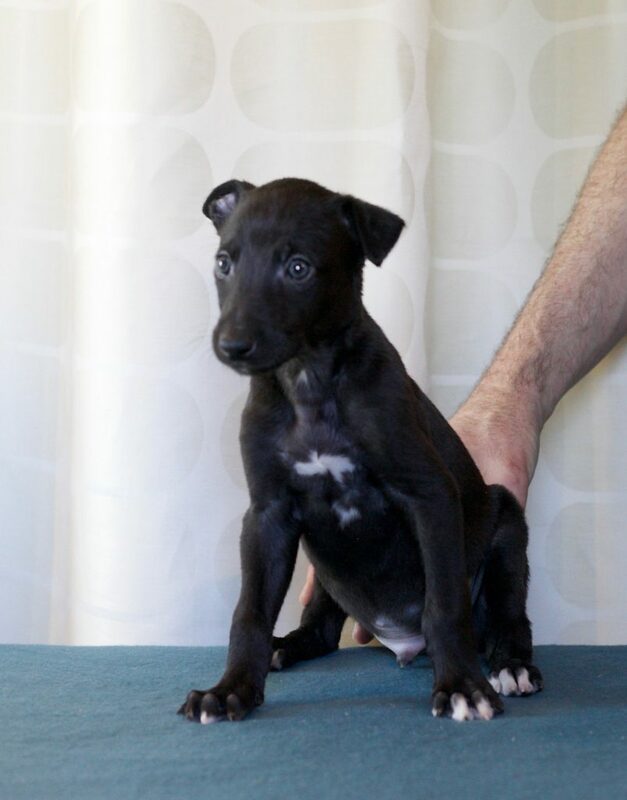 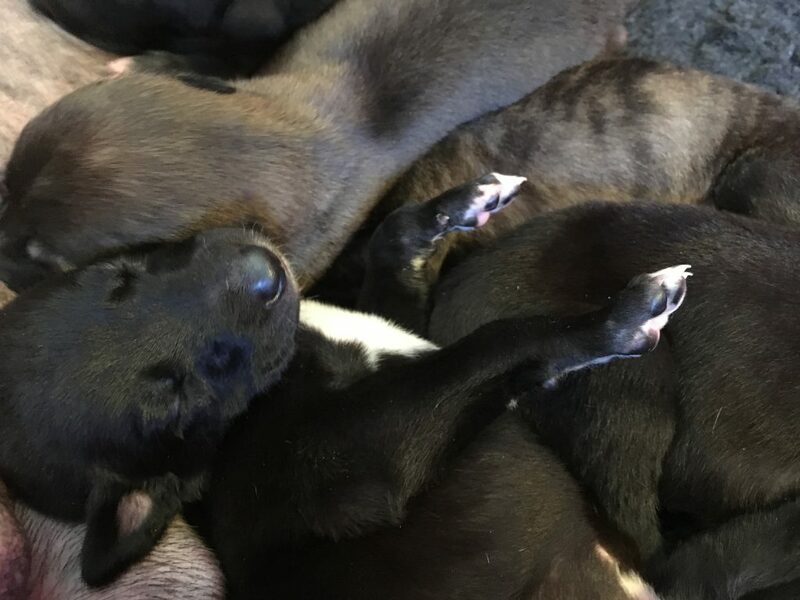 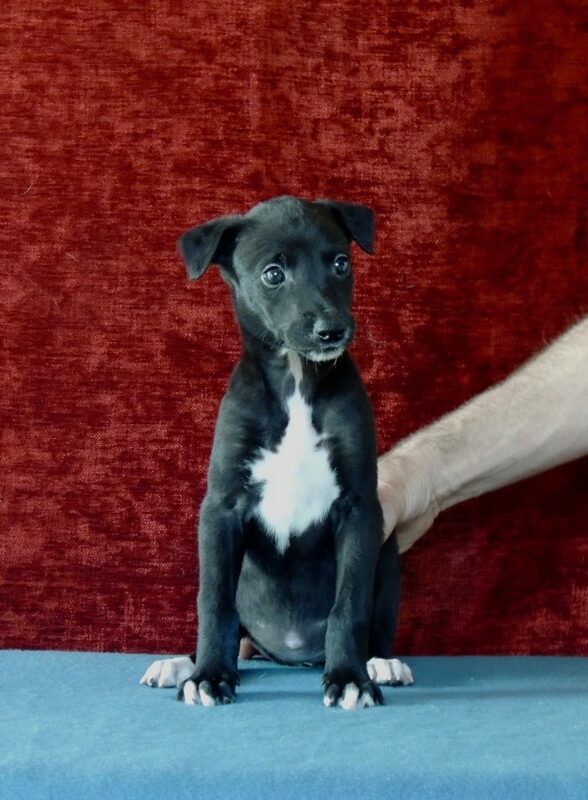 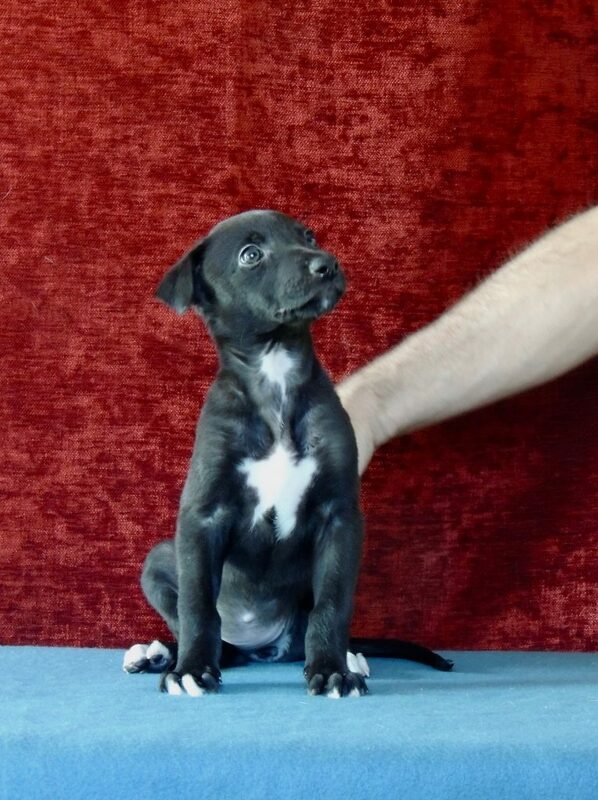 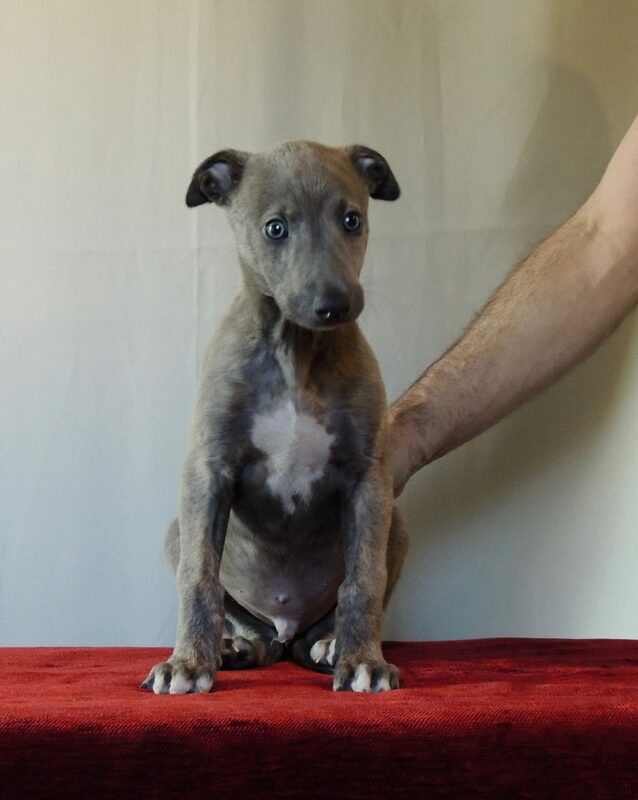 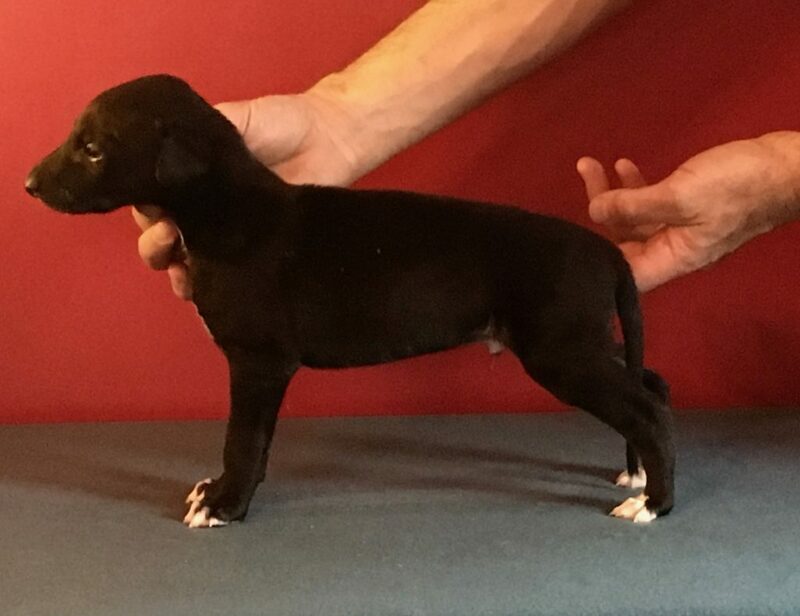 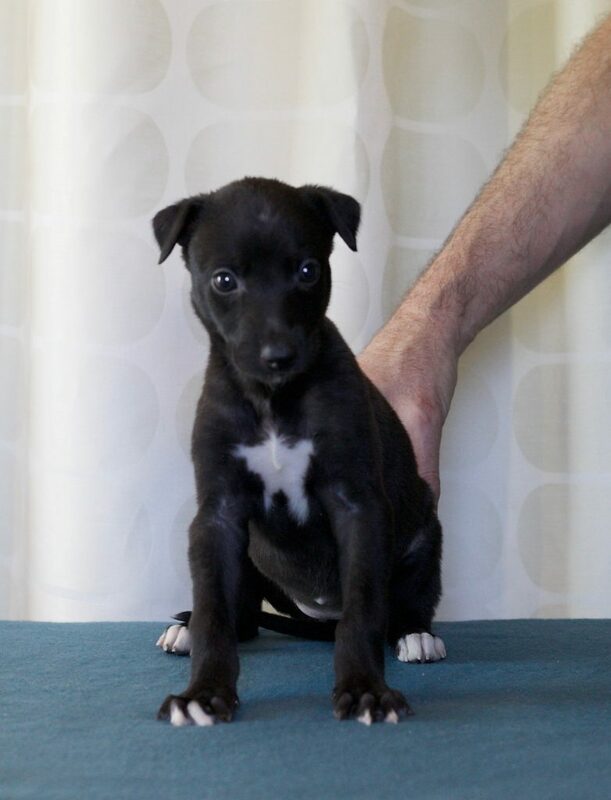 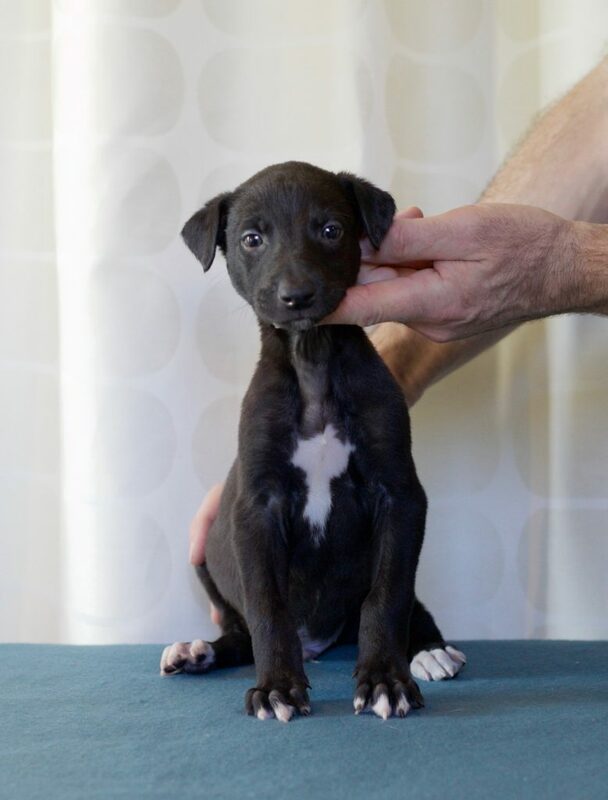 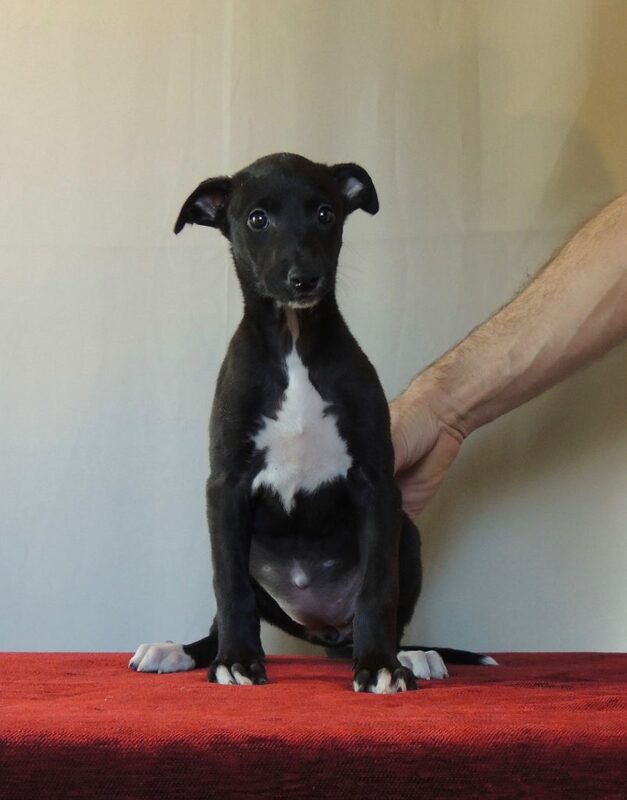 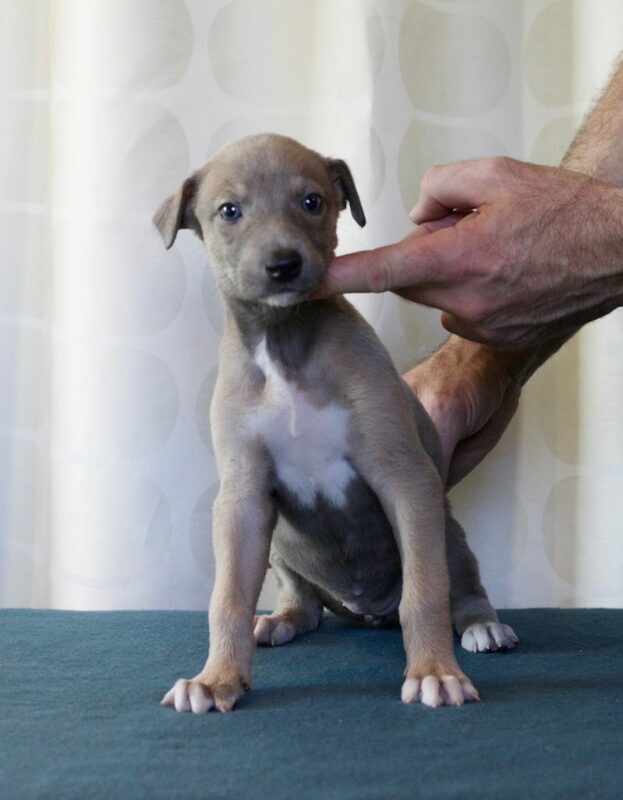 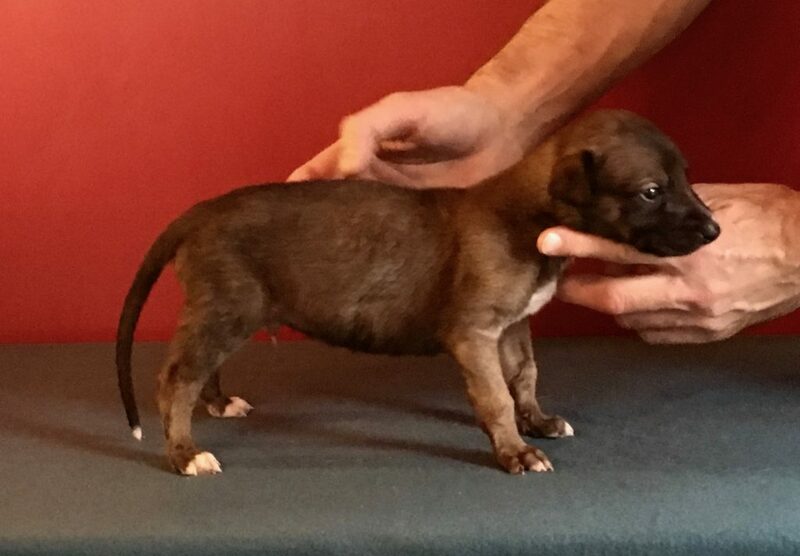 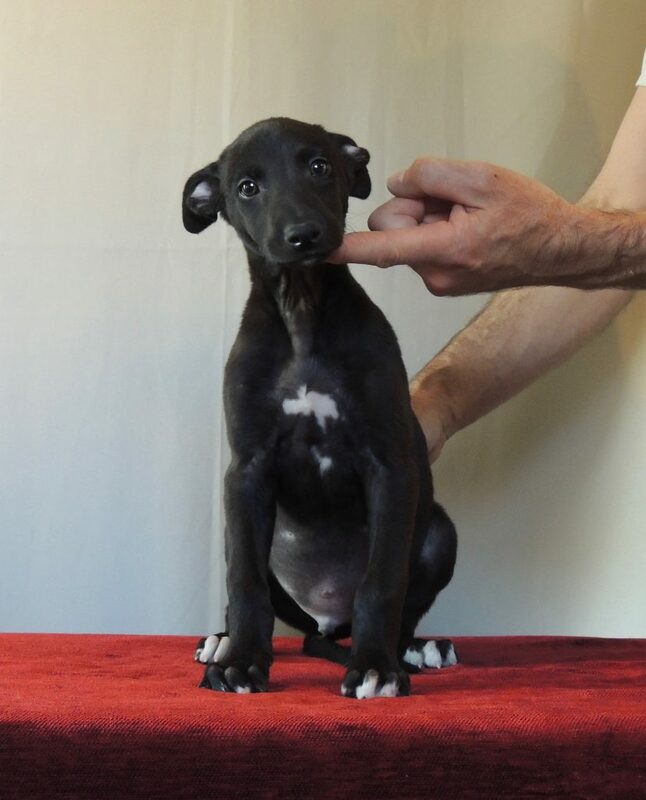 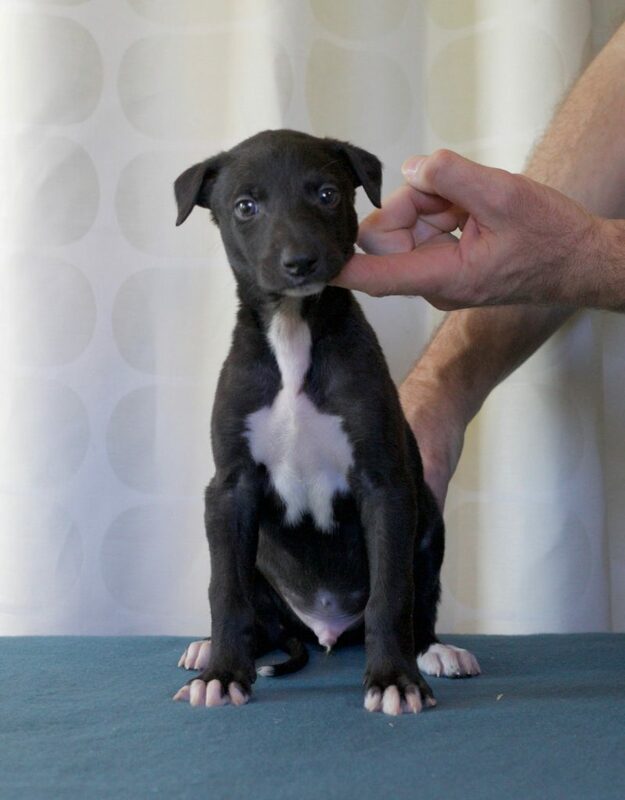 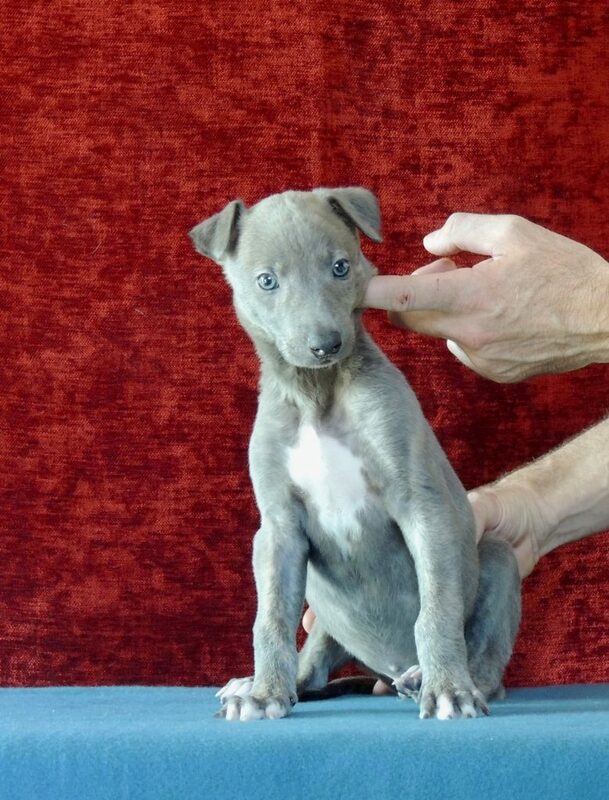 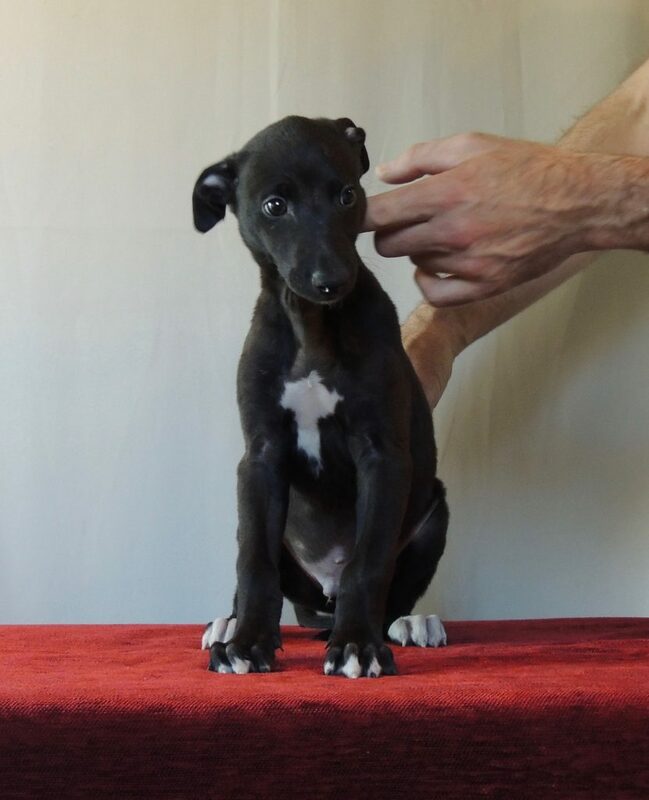 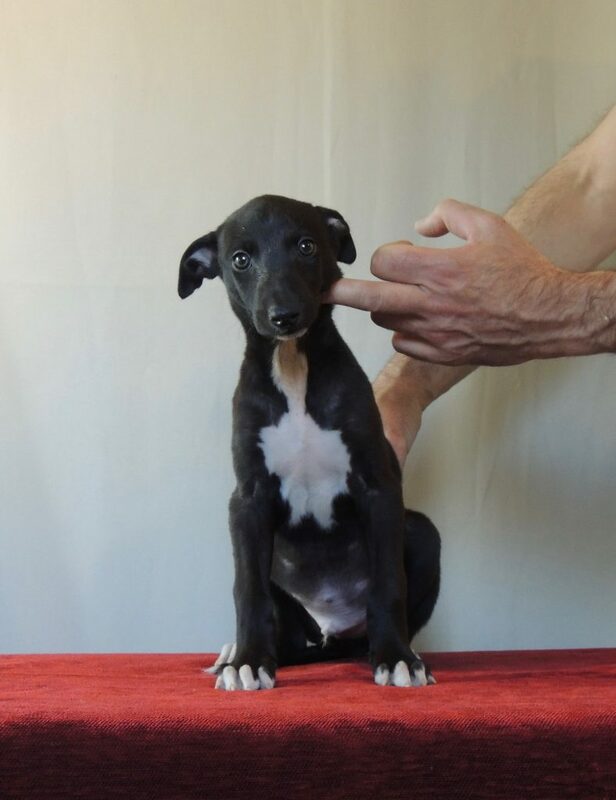 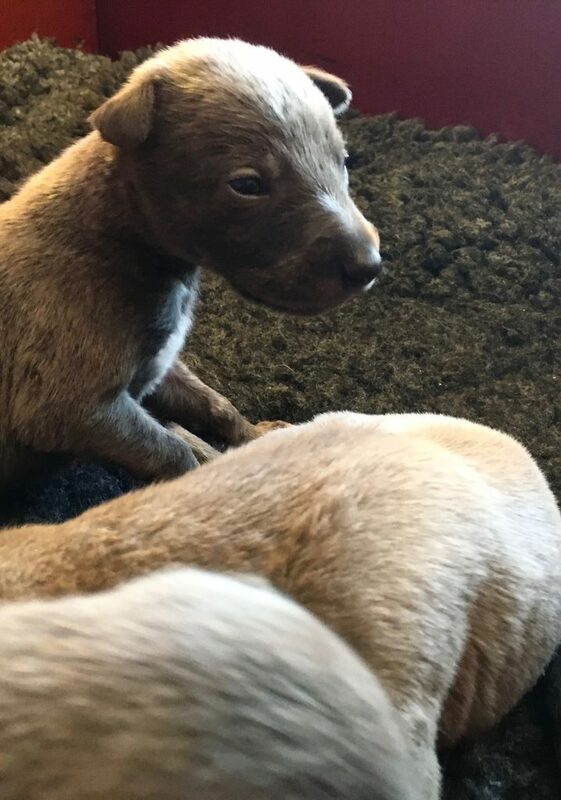 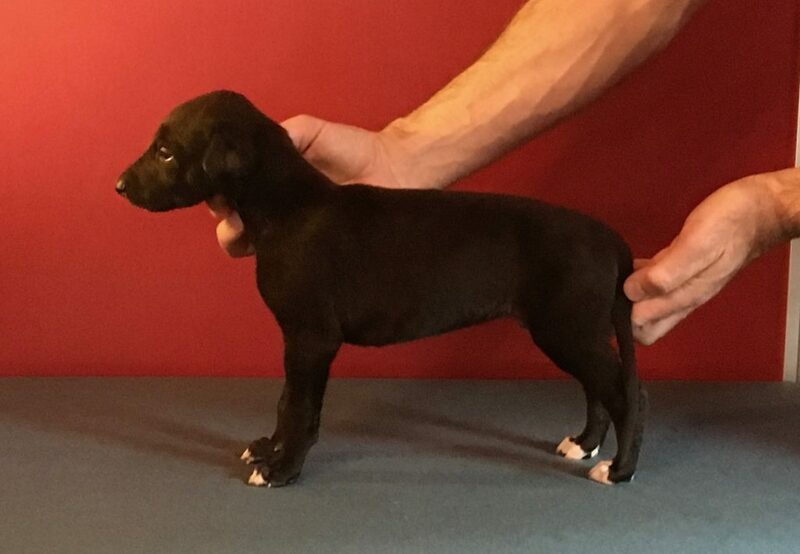 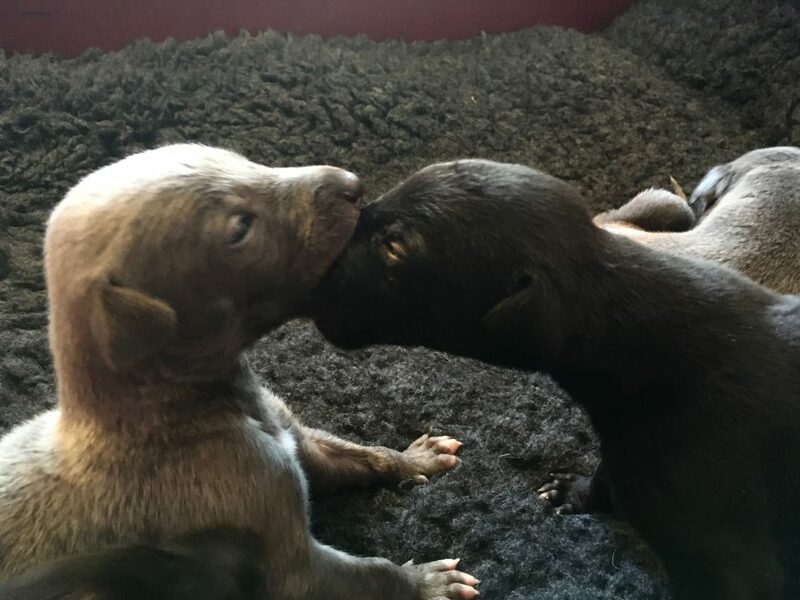 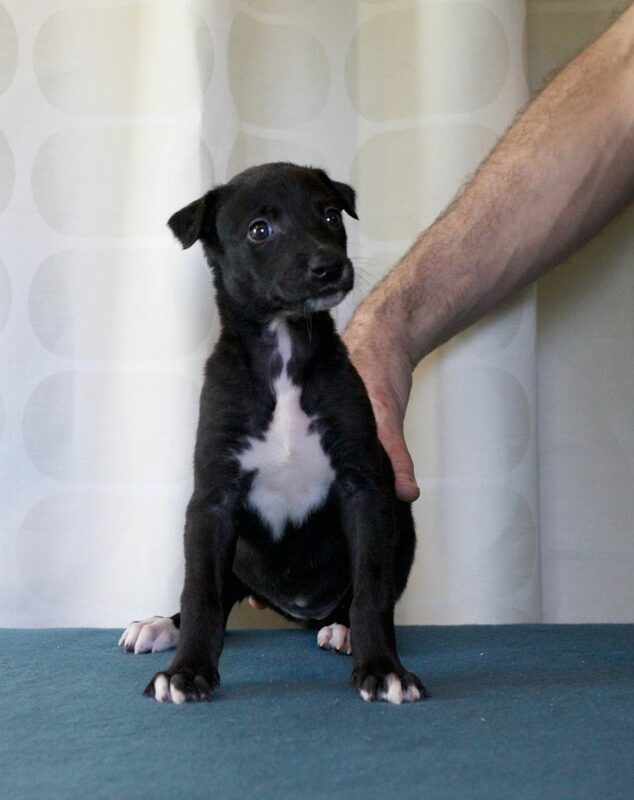 To choose the suitable racing male for her was more of a struggle, but after consulting one of Sweden’s most experienced breeders of racing greyhounds we hope we have found a line that should not hold too many surprises. 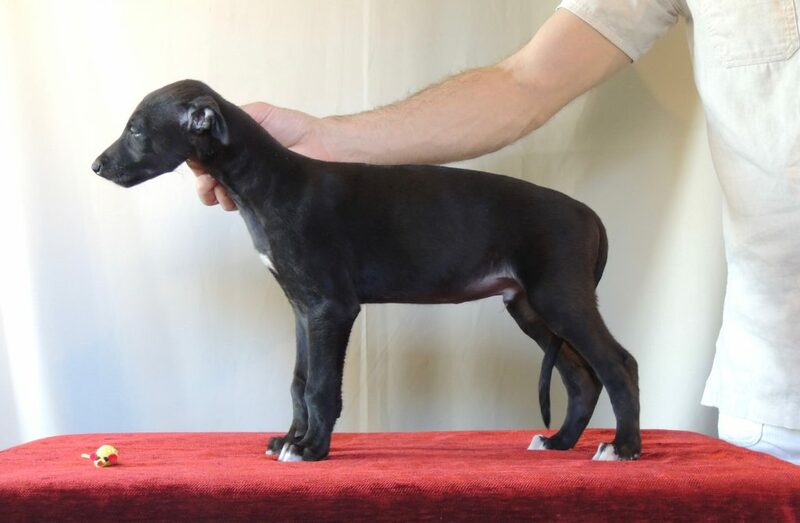 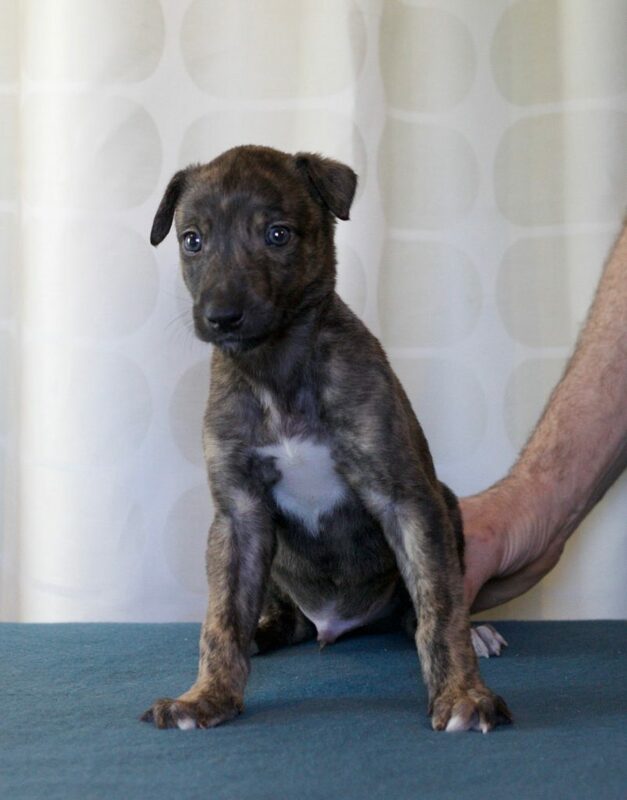 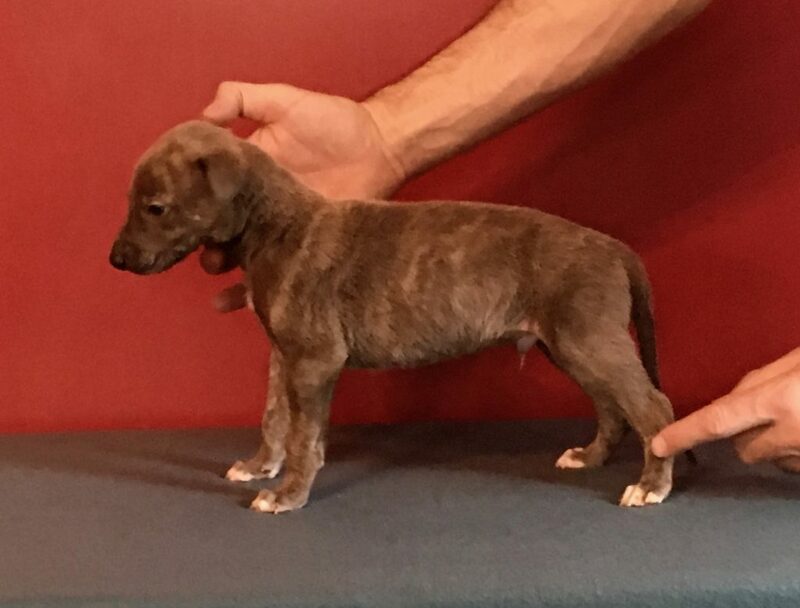 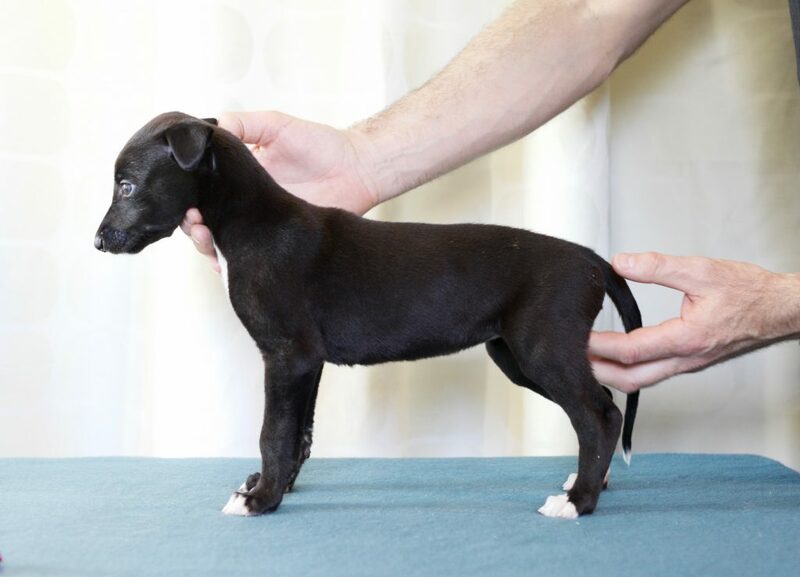 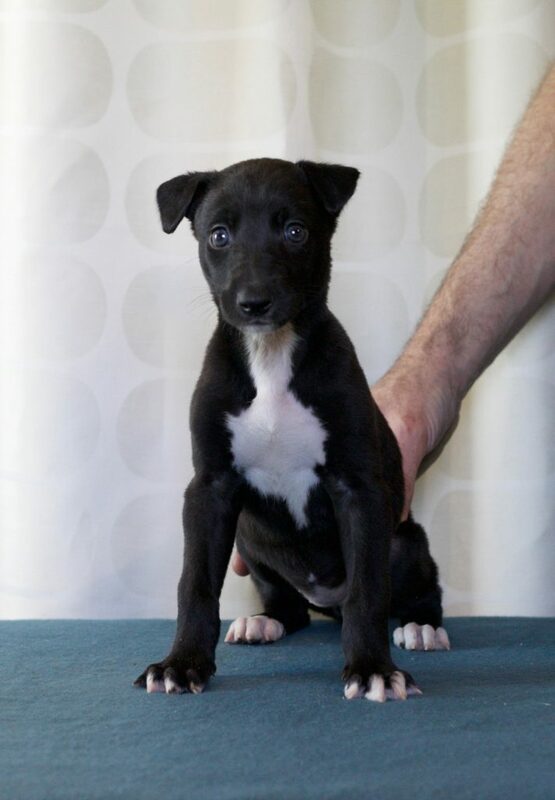 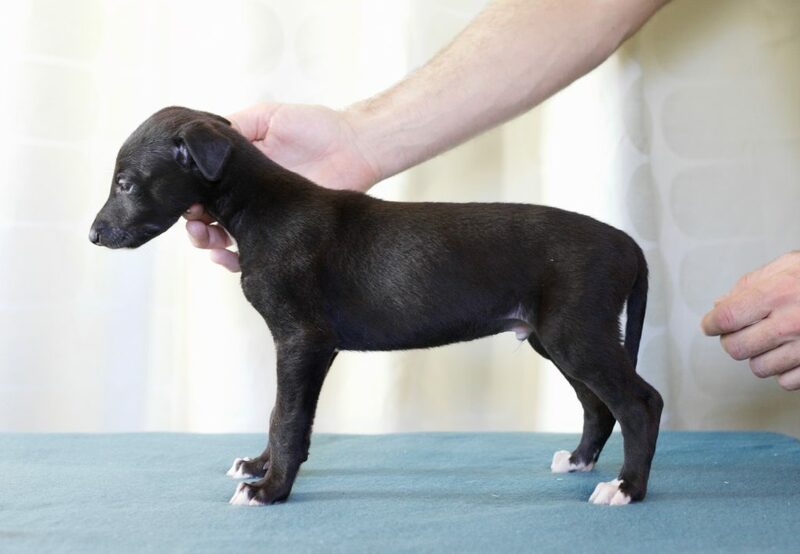 Also it was important to find a male that did not have too much of the obvious faults that occur in racing dogs. 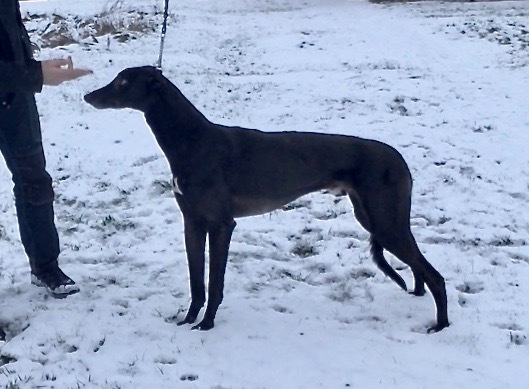 Having said that we are very pleased with what we found, Lucky-Luke A good size dog with strong bone. 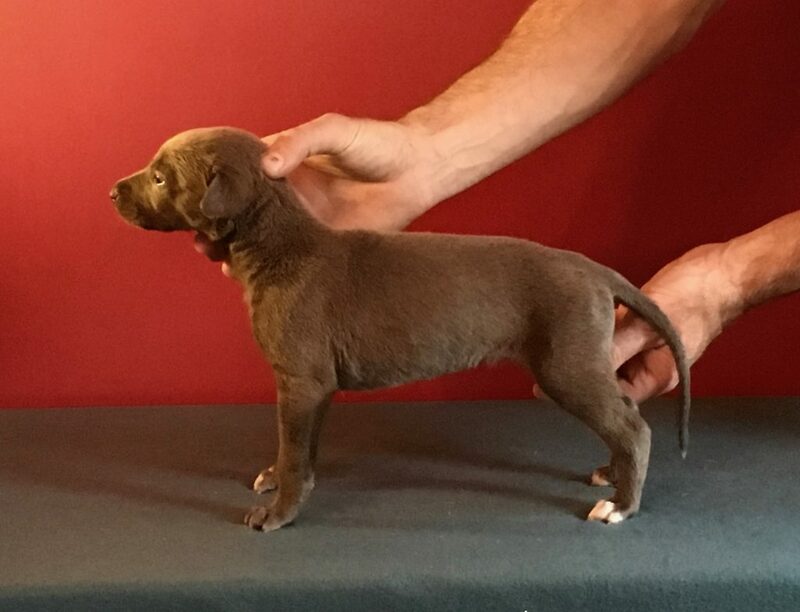 Good proportions. 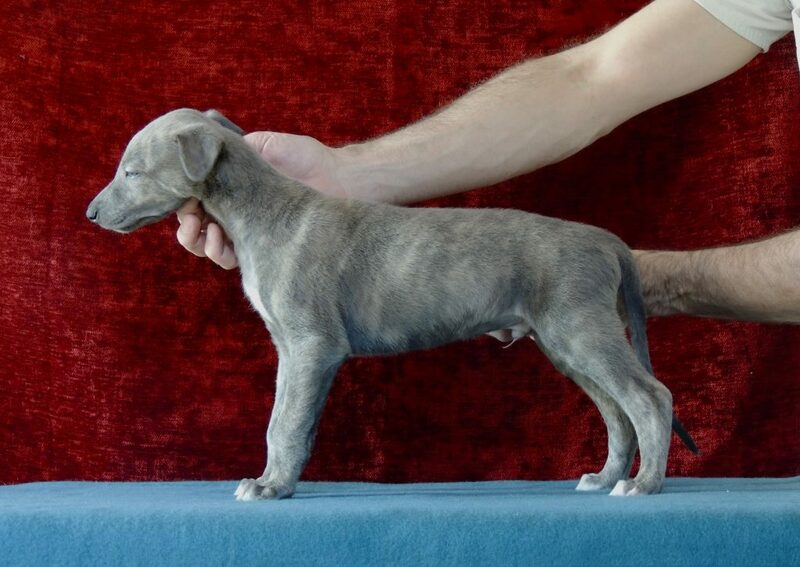 Gentle and sweet temperament. 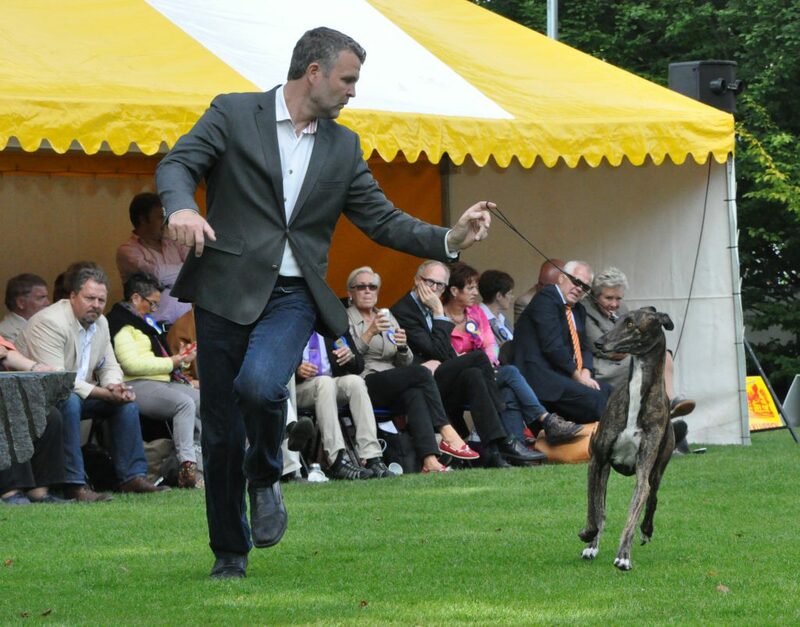 Lucky is also a topwinning dog on the track. 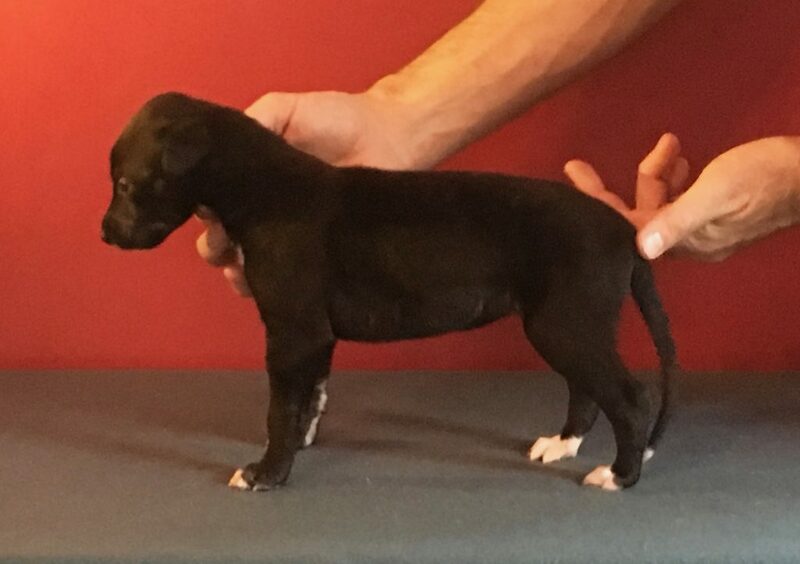 His best year he won 21 out of 24 starts. 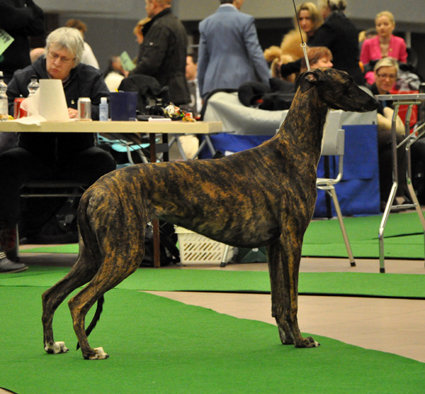 Here You can se a video of him winning Swedish Championship. 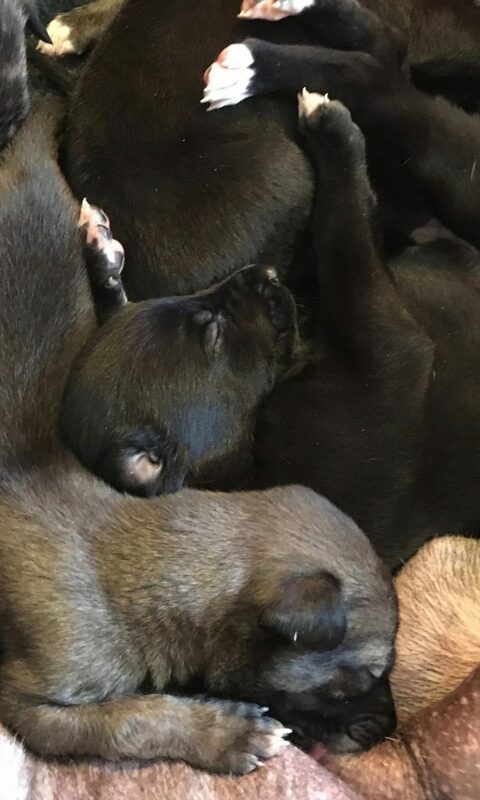 Lucky is the one closest to the camera.